The sun has been shining here in North London this week (although it is still pretty chilly) and so we are all feeling like we have a bit of a spring in our steps, especially as we head into another lovely weekend! I have quite a lot to tell you about this week, including the fact that you can now vote for your favourite motif from the recent Delft colouring in competition. You can find more information about this lower down in the email. I have also released some new patterns this week, so you might want to take a look at that information too - I have put it in the 'What's New' section. I was lucky enough to get one of the last 2 tickets to see a show called 'She Persisted' at Sadlers Wells on Wednesday evening. 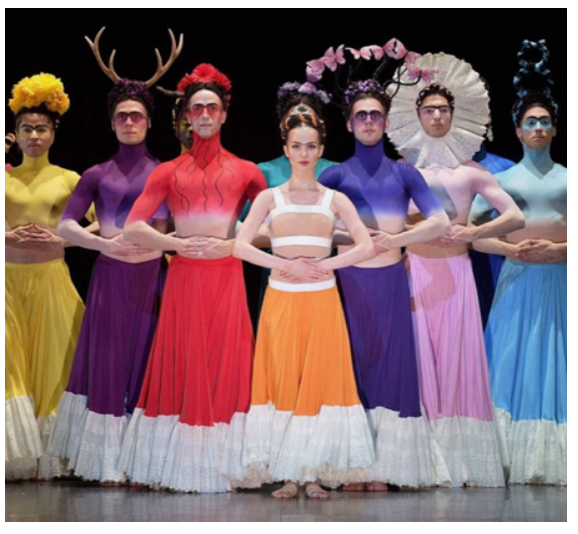 It was pretty much a spur of the moment decision to go, which was prompted by the attraction of the first of the 3 ballets, 'Broken', which was inspired by the life of Frida Kahlo. 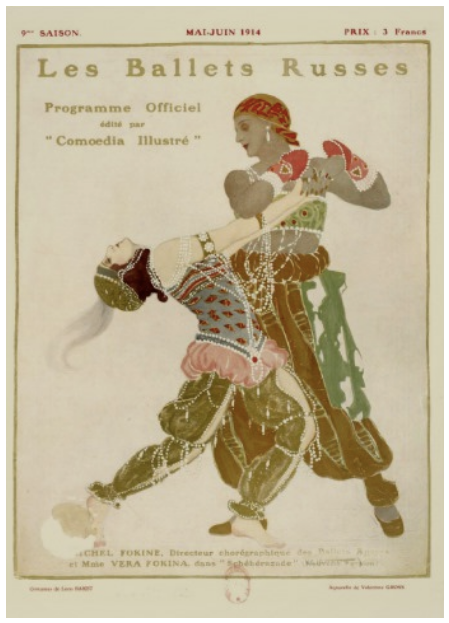 I have to admit to going along without even looking up what the other 2 ballets on the programme where, so I was really excited when I realised I was going to get to see the Rite of Spring - the music for which was composed by Stravinsky in 1913. The ballet I saw was the 1975 version danced on earth and it was pretty amazing! 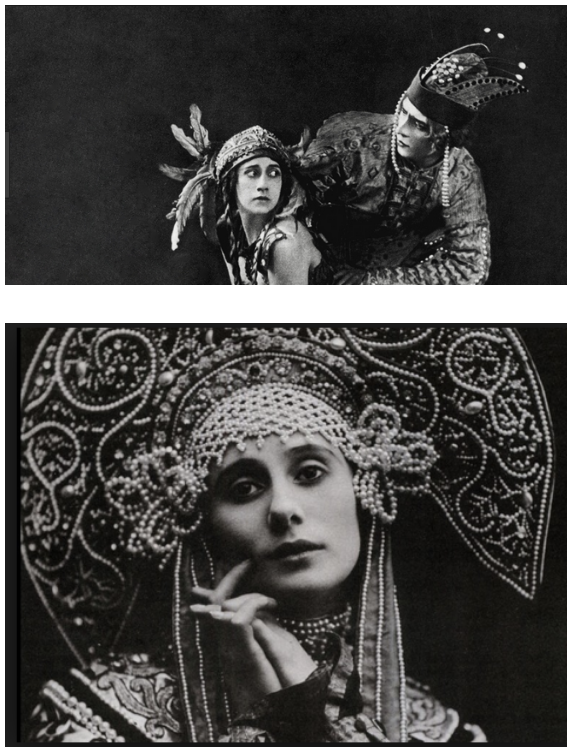 I have been planning to include a piece about the Ballets Russes for ages, so it is perhaps serendipitous that the ballet on Wednesday, which was first performed by the Russian ballet company, was the push I needed to make myself settle down and write it. Because of time limitations it is not a huge piece, just the bones of it really, but I hope it will inspire you to go and take a look for more information about the spectacle of the ballets at the turn of the last Century. 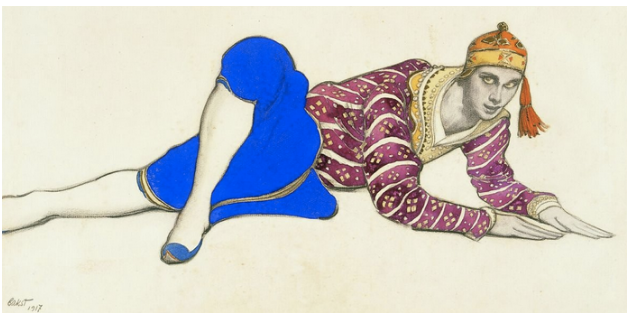 I think that the costume designs by Leon Bakst alone are enough to get the creative juices going..
At the turn of the last Century Paris was the place to be seen - it was where all the cool people were and where all the cool things happened. I am a big fan of the city and love walking around imagining what it must have been like 100 years ago when all the excitement that surrounded new artists, dancers and musicians was at it's height. 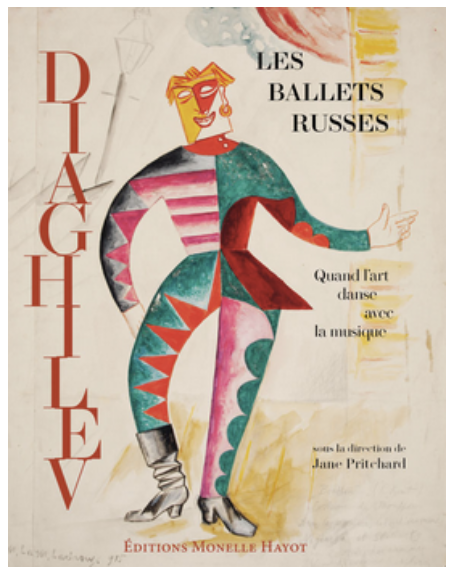 The Ballets Russes is widely regarded as one of the most influential companies of the 20th Century, not only because of the ground breaking choreography, but also because of all the other components that Diaghilev involved in his productions - the sets, the posters and art work, the costumes and the famous dancers, composers and influential artists and designers he employed. 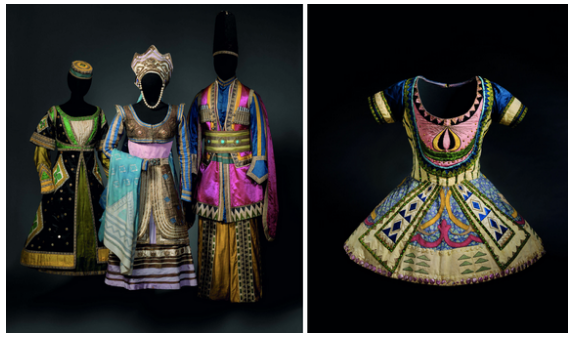 The images above are of costumes designed for the famous dancer Vaslav Nijinsky. The virtuosity and charisma of whom were such that no one who saw him perform, it was claimed, ever forgot him. 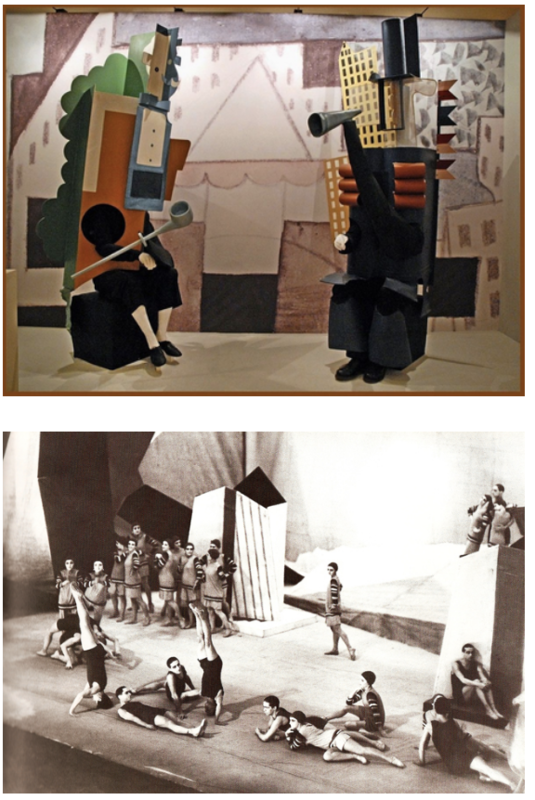 He transformed himself for each role he danced and became as famous as the ballets themselves. 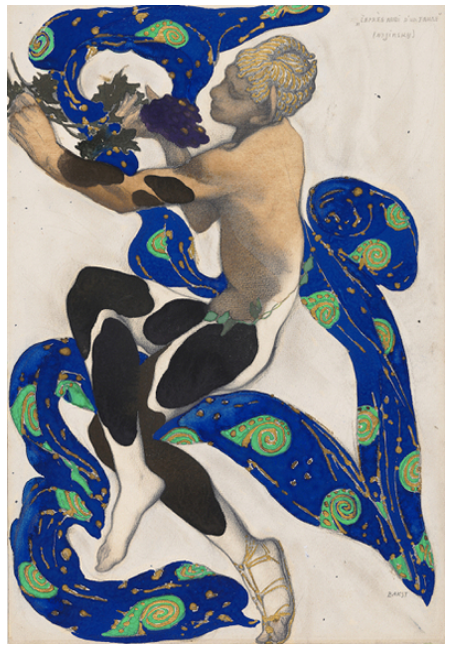 Trained in the Russian Imperial Ballet, he was an instant success on the Parisian stage from the Ballets Russes' first season in 1909. Audiences had not seen an equivalent male dancer for more than two decades. 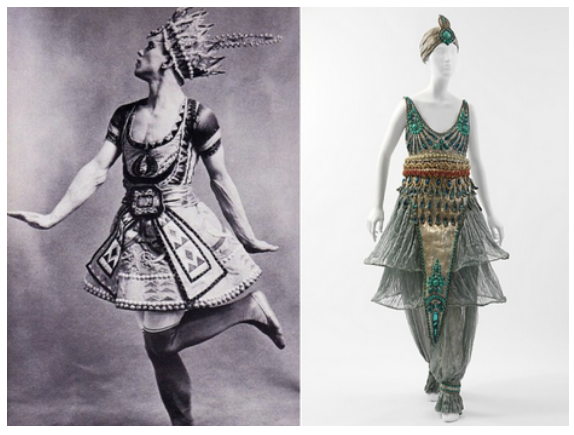 As a choreographer, he created unusually varied productions, whose style of movement differed radically from one another and from what the academic ballet audiences were used to seeing. The V&A mounted a brilliant exhibition of the costumes and posters that detailed the stories of the Ballet Russes a few years ago and, like every exhibition of high standard I have ever been to, I so wish that I had been able to visit over and over. To see the costumes, with their incredible vibrant fabrics and the amazing attentions to detail, up close and personal was incredible and I hope that one day the opportunity to see some of the items 'in the flesh' will arise again. 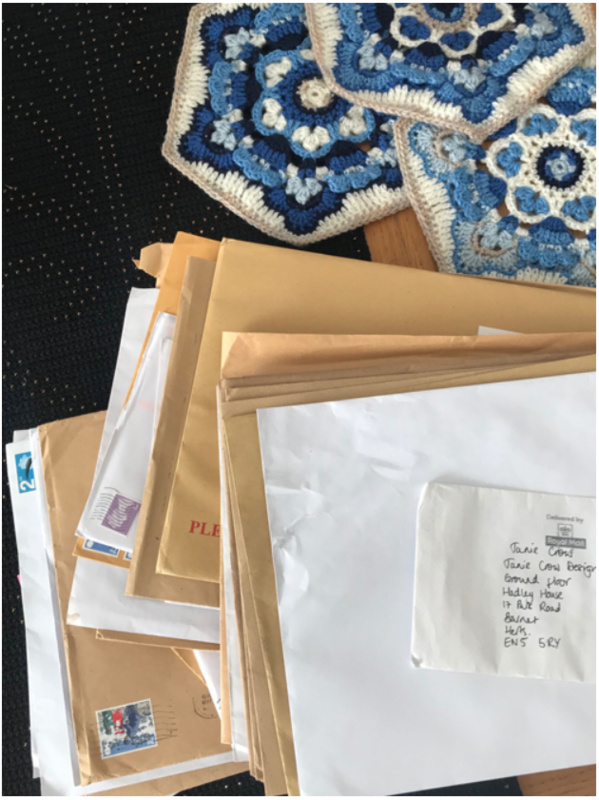 ​I am really excited to be able to show you the crochet motifs made from the coloured in motifs sent in by the 5 finalists in the recent Delft Colouring Competition. We received more than 230 entries, so choosing just 5 was pretty tough, but we are really happy with the outcome of our choices. You can vote for your favourite by visiting my web site and following the link to the survey - it will take less than a minute for you to record your choice. One of my favourite computer games is Bejewelled and I wanted to create a motif that radiated opulence, warmth and glamour. Being wrapped in these colours would make me feel beautiful and shine like a jewel. I felt I needed (one row) of white to represent diamonds'. As I already said, you can vote for your favourite re-coloured motif by following the link here. All you need to do is pop a tick next to your chosen colour way and submit your form. Please note that you can only enter the competition once. Voting closes 30th April. 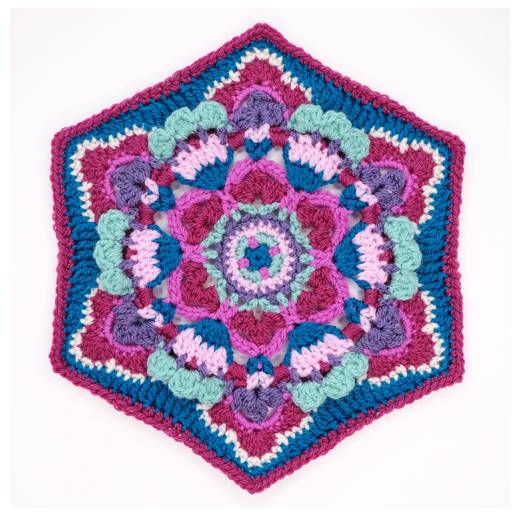 The overall winner will receive a prize of £150 and a yarn colour pack to make their blanket. The 2 runner-ups will each receive a prize of £50 plus a yarn colour pack. All finalists will have their name and wording about their colour inspiration listed on the colour substitution and will be featured in Simply Crochet Magazine. The yarn colour packs for the new colour ways will subsequently be available via Stylecraft stockists. The colour substitution documents for each new colour way will also be available as free downloads via the Janie Crow web site. 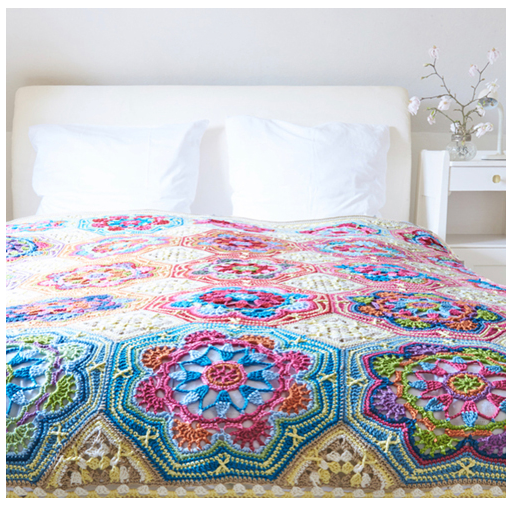 This week I have released the patterns for my Summer Palace blanket and the wrap version - all shown above. You can find the brochure style paper patterns via Stylecraft stockists and I will have them for sale via my web shop, which will launch properly (finally!) next week, so do look out for them. 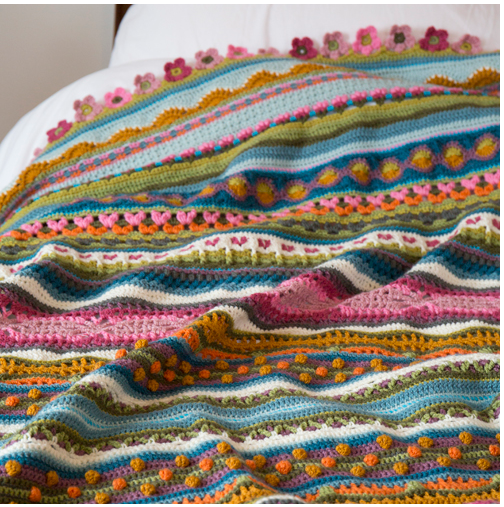 The blanket pattern includes 2 colour ways and is written for Stylecraft Life DK, but you could choose to use any DK weight of yarn so long as you achieve the same crochet tension and have the equivalent length to my yarn amounts. The wrap version is written for Baa Ram Ewe PIP Colourwork 4ply. 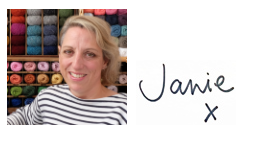 Many of the Janie Crow listed stockists will have the yarn and the patterns and you can find a link to them here. 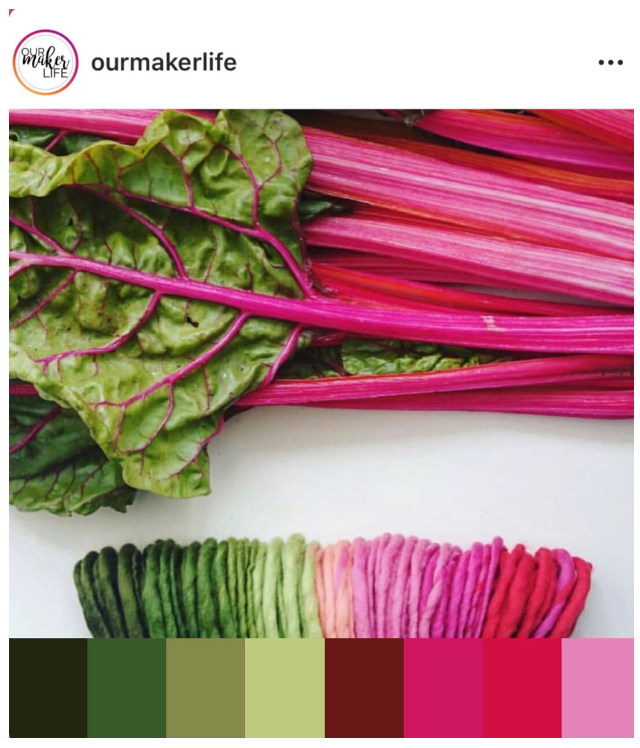 ​My palette of the week is another one that I stumbled across on social media this week and is one that I have (again) not had to make any big decisions about in regards to colour picking. The beautiful image comes from Our Maker Life. I absolutely love the taste of rhubarb, but I do think it is a shame that it's wonderful bright pink colouring diminishes greatly when it is cooked. I love the vibrancy of this image and the contrast of the pink with the bright green. Last Saturday I was invited to be the afternoon speaker at The East Sussex Guild of WI's annual Craft Day. As I told you, I was a little nervous as I had to speak to more than 200 WI members about my work, but I am pleased to say it went OK and that (hopefully) I was able to enlighten a few of the attendees about the delights of crochet! This weekend is set to be a bit quieter and I have a full 2 days on the bounce at home - something that rarely happens! Andy and I made a pact at Christmas that we would spend more of our time and effort looking after our little house, so this weekend I am planning on having a good old sort out and maybe getting the paint out again. 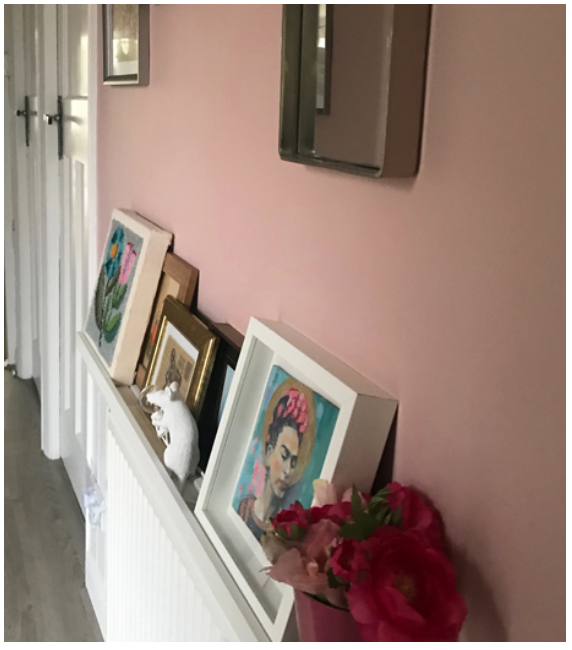 I have popped an image of my newly painted hall walls above - it may have taken me almost 3 months to finish 3 coats of paint on a tiny hallway, but I am rather proud and love my new 'Jaipuresque' colour scheme. 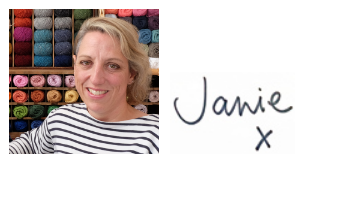 If you have been receiving the Friday Feature for a while then I imagine that you are able to predict that week after week I will start off by saying what an incredibly busy week it has been here at Janie Crow. I do feel this is becoming a bit of a predictable starter, so seriously, if any of you know a way of creating more hours in a day and more days in a week, please let me know! I have been busy getting a new design ready to be tested by a crocheter this week. I like writing my own patterns and the process of taking the step-by-step images, but I do tend to misjudge how long this can take, so once again I am here with a speedy hello, rather than a full size Friday Feature. 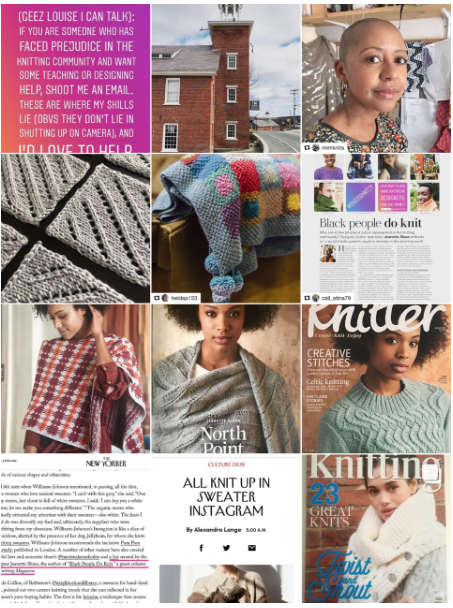 Last weekend, as promised, I did manage to kick start a really interesting discussion thread in regards to the reputation of crochet vs knitting on my Instagram feed. Many great points were raised and discussed, so if you are interested please head over to my IG feed and take a look. Thank you too to all those of you who took the time to email us on this subject too. I have left the 'Poor Cousin' and the 'What's New' features from last week's newsletter in place this week. 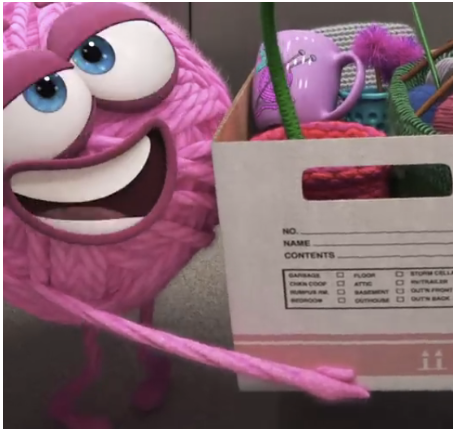 I know it is a bit of a cop out, but hopefully there might be items from last week that you missed or that you want to read again! We have started adding past newsletters onto to the new web site, so you might want to revisit some of these too. You can find them here. 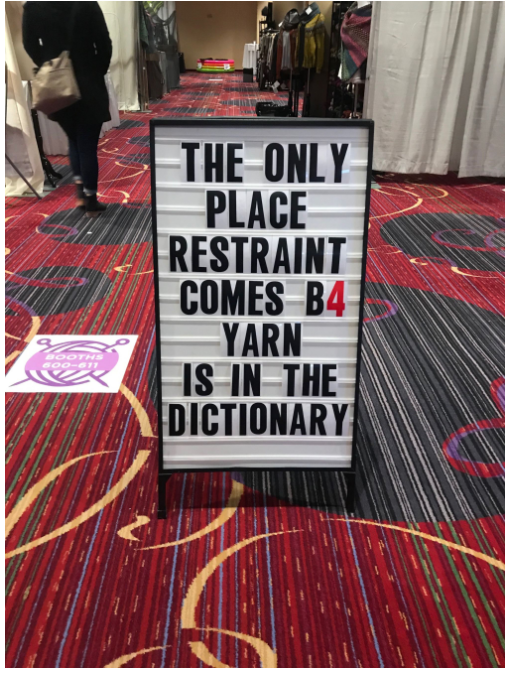 When we exhibit as Janie Crow at yarn shows we tend to get a mixed bag of reactions as people come onto the stand. There are those who come striding on to the stand, confident that their skills are up to scratch and keen to chat all things crochet. 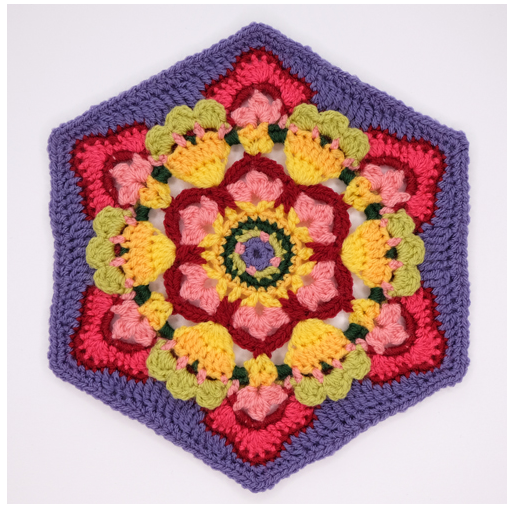 These are the die hard crocheters who have already discovered the joy of the craft and who have already made it one of their favourite pass times. 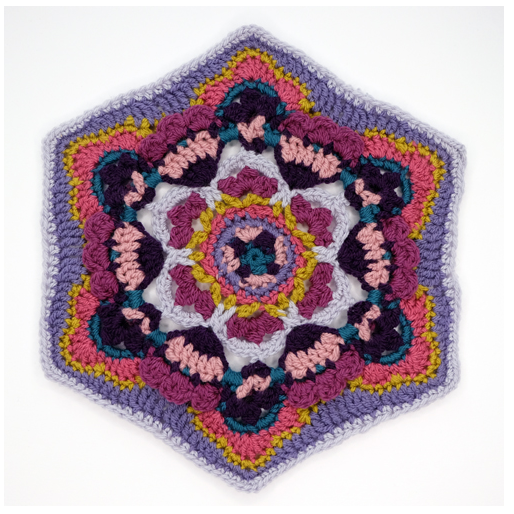 We also meet the relatively new crocheters - those who want to move on to the next steps and learn new techniques to push themselves creatively. I love seeing these people on the stand - we share a common joy in our craft and it is easy to chat and share our passion. I also really enjoy meeting another group of crafters - the knitters who never imagined that 'crochet could look that good'. 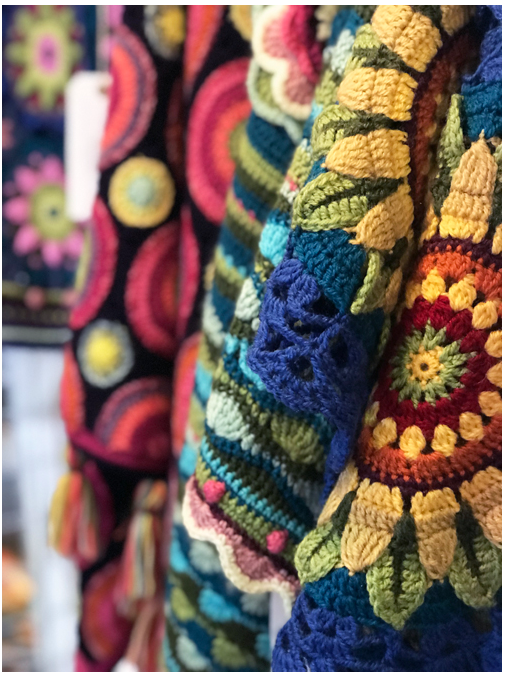 We get comments like '...at first I thought it was knitted, but then realised it was crochet....', comments like these are often followed by reminiscent stories of Grandmothers crocheting blankets by the fire, or dabbling with making Granny Squares as a 'phase' back in the 70's! I love the fact that seeing my crochet designs has sparked a reaction in these people and I am always extra happy when they say they have been inspired to go home and pick up a hook again. Those who walk past the stand and say, 'Ew! it's crochet!' or that say (after close inspection of one of my crochet designs) 'oh yes I can see how she's done that' and carry on walking, noses slightly turned into the air. I used to get really offended and defensive of my craft and I have always disliked the fact that as a crocheter my skills appear to be considered inferior to those of a knitter, but more recently I think the reactions have actually made me a more resilient designer and more determined to show people what a creative and beautiful craft it could be. 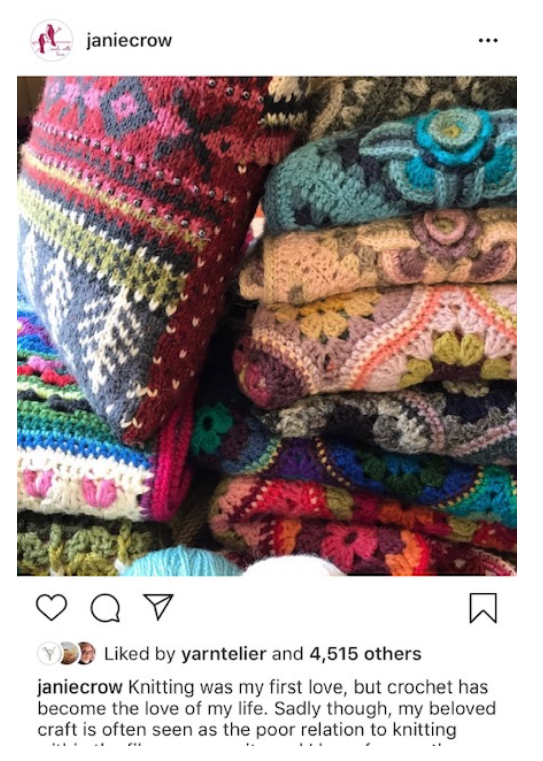 That aside, I cannot tell you how chuffed I was to see that someone finally voiced the apparent division between the kudos of being a knitter vs a crocheter - her name is Gaye Gillespie and she is my hero! 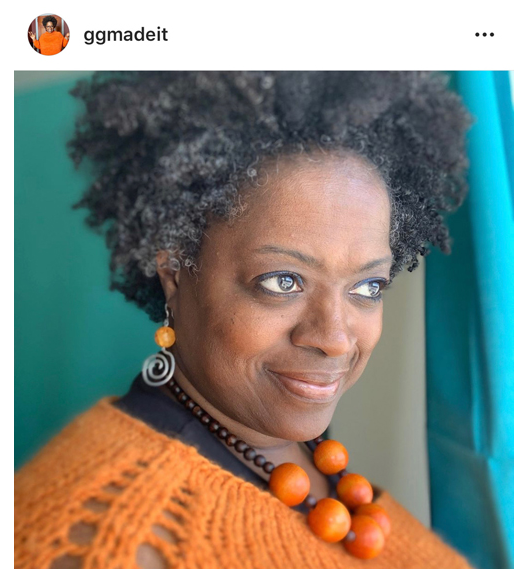 Gaye (aka GGmadeit) has been at the very centre of the recent important discussions on the subject of diversity within the fibre community and if you haven't come across her before then I urge you to take a look at her podcasts on YouTube and follow her on Instagram. 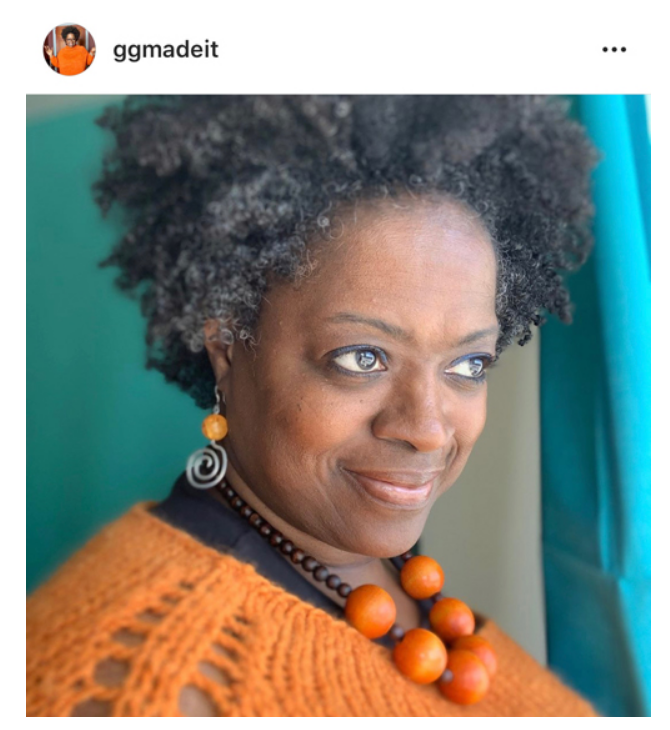 Last weekend GG posted a piece on Instagram that has sparked the conversation of how crocheters feel within the yarn world. 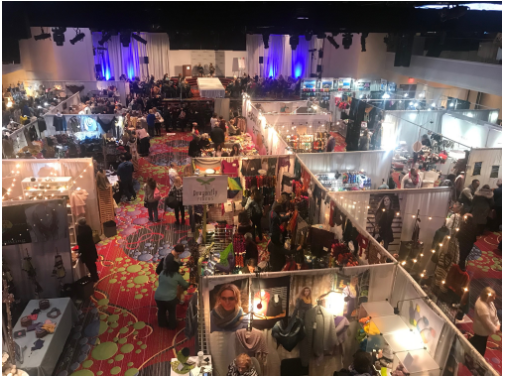 Many crocheters told her that they felt that yarn store owners and vendors at shows made assumptions about spending power, yarn choices ('they only use acrylic') and skill levels when faced with a crocheting potential customer. GG made a point about there rarely being crochet samples on display to show how yarn looks when worked in different stitches and talked about how yarn labels rarely indicate hook size or tension for crocheters. Take a look at GG's video here to listen to Gaye's thoughts and make sure you also watch her other videos about diversity. I don't have any answers, but what I do think is that we have to make a point of challenging the preconceived idea that crocheting is less skilful than knitting and that we need to be really proactive in challenging the negativity that surrounds our craft. My recent inclusion on the Fruity Knitting podcast has been really interesting in terms of people's reaction to me. 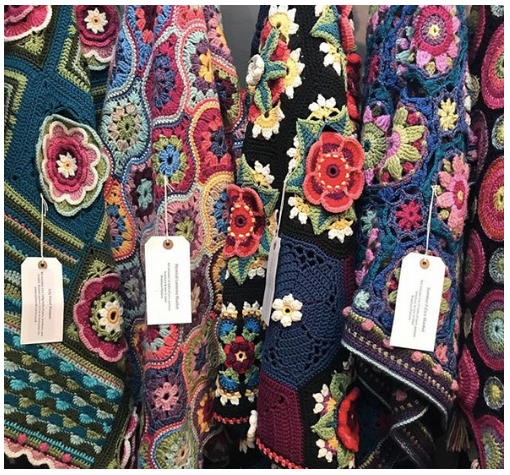 At Edinburgh Yarn show last weekend it was particularly clear that people had been surprised by the historical part crochet has played (within the UK anyway) and that by me also talking about the mathematical side of the craft many knitters had a new found admiration for crochet. Of course I am not saying that one appearance on a podcast can change the way crochet is viewed worldwide, but I am so pleased to have seen these comments aired in many open forums over the last week. The issue of diversity in terms of race and colour within the fibre community is something that we all need to be up to speed on and it's importance should in no way be hijacked by a discussion about crochet, BUT if a second (but massively less important) sub discussion is that the importance of crochet within the fibre world is also recognised then how cool is that? I am a really big fan of West Yorkshire Spinners - not only are they a lovely bunch of people, but they are also continuously busy creating products that I really love - one of which is the new Colour Lab DK yarn, a beautifully bouncy 100% British Wool made in Yorkshire. 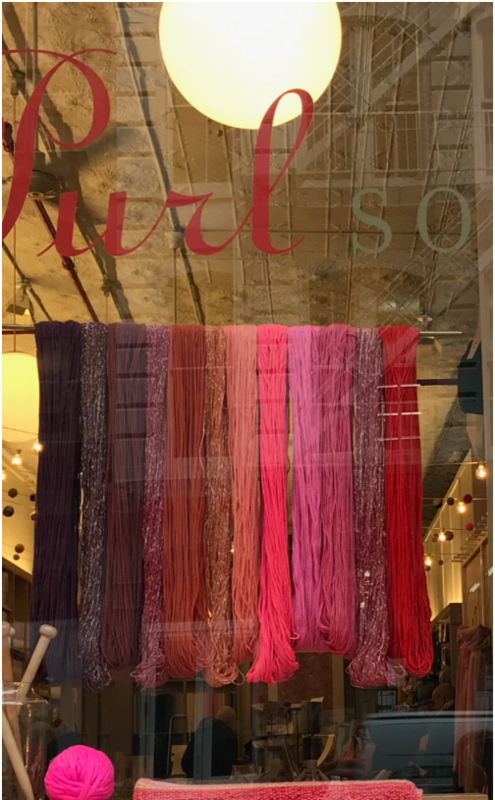 The yarn comes in a fabulous range of shades and as soon as I saw them I knew I wanted to make something using the range - how fortuitous then that they asked me to contribute some new crochet designs to their brand new range of patterns! I have wanted to design a 'proper' garment for a while and have carried the idea of a swing jacket around in my mind for ages. The design brief from WYS gave me the perfect opportunity to test my design and I am really really pleased with the way this project - Audrey - turned out. I think it would look really lovely worn over an evening gown or summer dress on a chilly evening - the yoke has a beaded detail to give an extra bit of sparkle. The Janis shawl, shown above, is an example of me once again playing with tessellating shapes and I love how the motifs combine to make different patterns when joined. The design uses 4 shades, but I think it would look amazing multicoloured too! I know that Just Knots have stock of the yarn and the patterns, but I am sure many other stockists have them too! 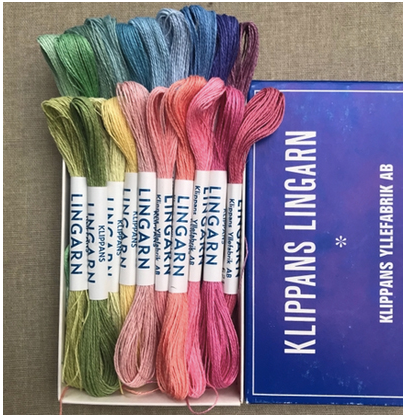 ​My palette of the week is not shades taken from an image, but instead it is the lovely new yarn colours that Caerthan of Triskelion Yarns has shared this week. The yarn shades are from the brand new Maritime Colourway Collection that Caerthan will be releasing soon. 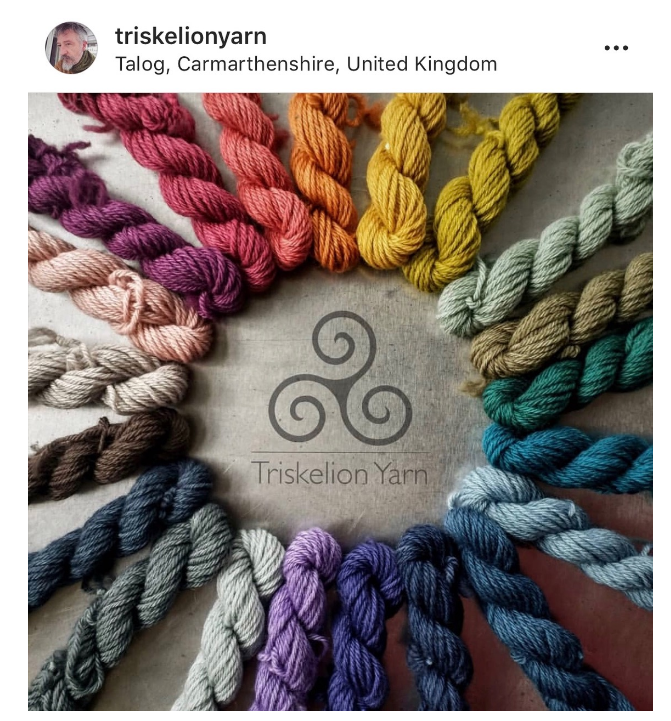 I love the Triskelion range of yarns, which are known for their depth of colour and high end yarn composition and I think these new softer shades are just gorgeous! 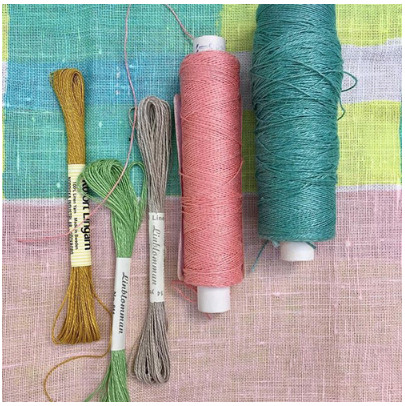 My Instagram favourite this week is textile designer Jose Dammers. I am a big fan of Jose's work, which mostly concentrates on crochet portraiture. Jose is incredibly clever with her colours and her stitching and creates some amazing pieces of work. Be sure to check out Jose's portraits of Van Gogh, Frida Kahlo and David Bowie, to name just a few! I am looking forward to being the afternoon speaker at The East Sussex Guild of WI's annual Craft Day tomorrow afternoon. I am a little apprehensive as it is likely to be the biggest audience I have ever stood up and spoken in front of and I have to admit at times this week I have been more than a little distracted by the prospect of talking to somewhere in the region of 200 people. I will let you know next week how I get on! Sunday is shaping up to be a home day. I finally managed to get the decorating in the hall way at home finished last weekend and have sorted some intricate little paintings that I bought in India a few years ago into some new frames, so it would be good to get those hung up. I have really neglected my little house lately and I find that more and more it is the place I want to be the most, so I am hoping that Sunday will be a day for homey things, a glass or two of wine and (of course) some crochet! Hello! Here I am at last with a Friday Feature newsletter. It is two weeks since I sent the last one, but it feels like an age! 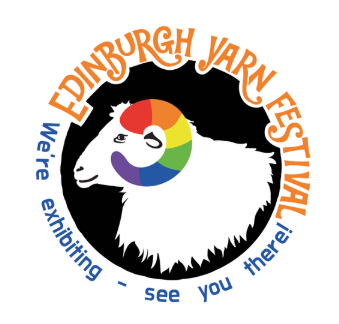 As usual we have been silly busy - this time mostly because of the Edinburgh Yarn Festival, which took place last weekend. We had an amazing time and it was so great to see so many of you on the stand. It is so nice to be back to the calm surroundings of the studio after a week away. Sue has taken 4 days off to visit her Mum (and probably also to get over the fact that she was left all alone in the office last week while we went to Scotland) and so it has been pretty quiet round here - which definitely makes a change! I found the image above on Instagram this week. It was linked with the hashtag #janiecrow and shows a beautiful version of Persian Tiles in a colour way close to that chosen by Lucia Dunn for her Eastern Jewels version. The blanket and the image are from @nelebe54 who has some other really lovely images on her feed, so do take a look. I am hoping to be able to dedicate the next month to getting the new web site up and running properly. It was never our intention to have it unfinished for so long, but circumstances have meant that many items still have not made it on to the site. Thank you so much for your patience with this! We know that the web site is seeing a lot of traffic, so we really will make this our mission over the next few weeks. I also really enjoy meeting another group of crafters - the knitters who never imagined that 'crochet could look that good'. 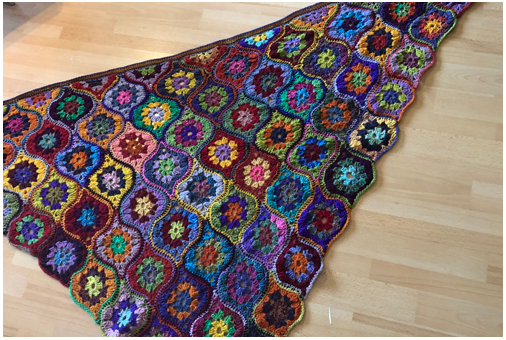 We get comments like '...at first I thought it was knitted, but then realised it was crochet....', comments like these are often followed by reminiscant stories of Grandmothers crocheting blankets by the fire, or dabbling with making Granny Squares as a 'phase' back in the 70s! I love the fact that seeing my crochet designs has sparked a reaction in these people and I am always extra happy when they say they have been inspired to go home and pick up a hook again. 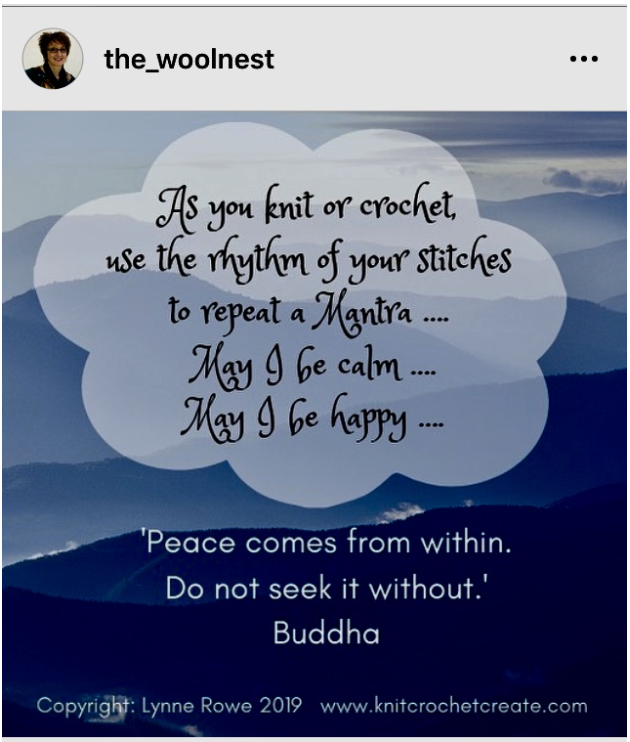 I don't have any answers, but what I do think is that we have to make a point of challenging the preconceived idea that crocheting is less skillful than knitting and that we need to be really proactive in challenging the negativity that surrounds our craft. ​I am a really big fan of West Yorkshire Spinners - not only are they a lovely bunch of people, but they are also continuously busy creating products that I really love - one of which is the new Colour Lab DK yarn, a beautifully bouncy 100% British Wool made in Yorkshire. 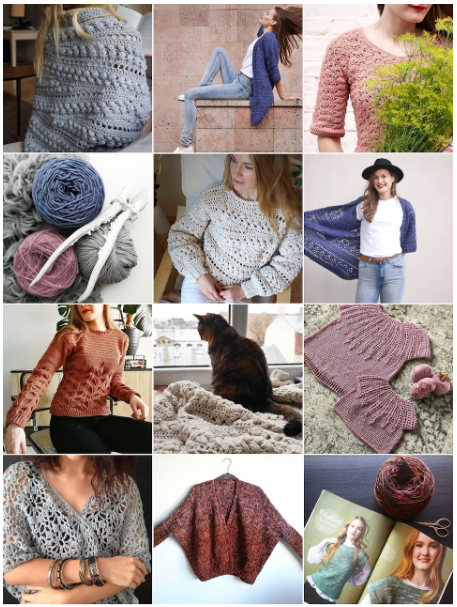 The yarn comes in a fabulous range of shades and as soon as I saw them I knew I wanted to make something using the range - how fortuitous then that they asked me to contribute some new crochet designs to their brand new range of patterns! ​The new Van Gogh in Britain exhibition opens at The Tate Gallery in London this week and I am really looking forward to visiting the show, especially as there will be quite a few works within it that I haven't seen before. I recently found some books that focus on Van Gogh's love of nature and in particular the way he painted flowers. 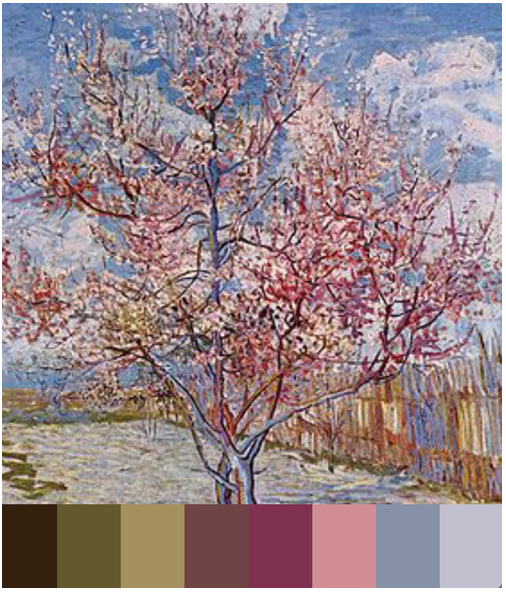 Within one of the books I found the series of paintings of blossoming orchards - mostly of peach trees and almond branches and I decided that the painting below (Pink Peach Trees) would make the perfect image for this week's colour palette. Flowering orchards is a series of paintings Van Gogh executed in Arles in Southern France in 1888. Van Gogh arrived in Arles in February 1888 in a snowstorm (he painted this too) but within 2 weeks of his arrival the weather changed and the fruit trees were in blossom. The first one is pretty obvious - it is the wonderful @GGmadeit Go and check out her brilliant discussions and her fabulously orange feed! The second is the very talented crochet designer Linda Skuja @elevenhandmade, who not only designs the most beautiful and wearable crochet garments, but is also a great authority on yarns and techniques. 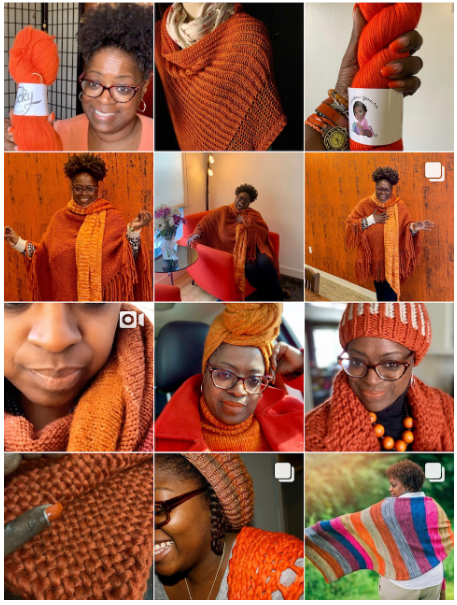 Linda has been at the forefront of discussions about crochet this week, so I urge you to take a look at her lovely IG account. 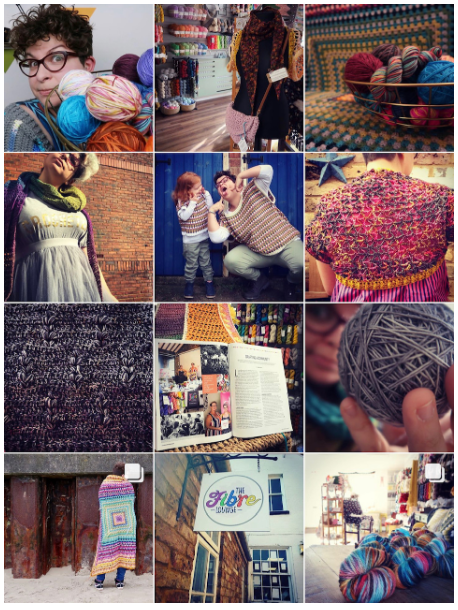 And finally, my third choice is Louisa Sheward of @thefibrelounge - make sure to look at her feed and her podcasts. She is little yarn shop owner with a BIG crochet passion - another strong voice in the discussions about crochet. 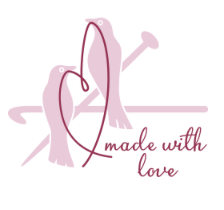 Relax and crochet, enjoy the pool and Jacuzzi, drink wine (or tea) and enjoy the peace and quiet from June 3rd to 7th at the Alpaca bed and breakfast near Limoges, France. 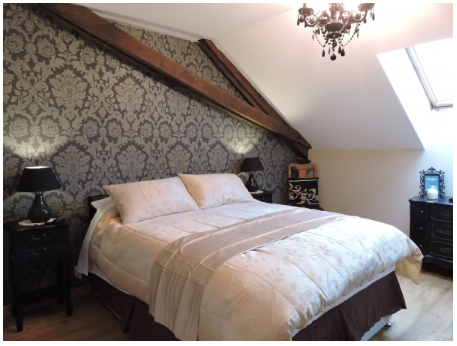 The stay includes collection from and return to Limoges, or Bergerac; en-suite accommodation; meals - using locally sourced organic products where available; Jacuzzi and swimming pool; instruction on a project - materials (courtesy of the alpacas! ) 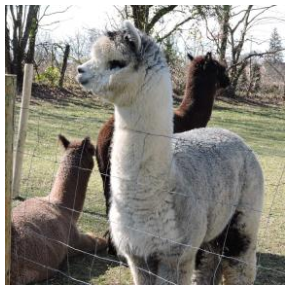 included; meeting the alpacas; an evening at a local restaurant before you leave (meals payable at local restaurant). There is no local transport (train station 3kms) so if you prefer to be a bit more independent and include a bit more exploring you may want to pick up a rental car at the airport for your stay. 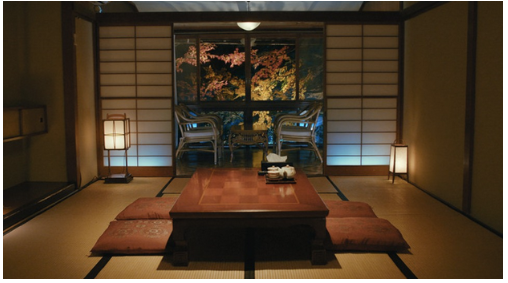 Prices are really reasonable, but can differ depending on room or single occupant. Go to the B&B website for more info, booking etc. I am so excited by the prospect of a weekend at home. I worked out that over the last 6 weeks I have only had 5 days off, so I am really feeling in need of a bit if me time! I also appear to be on the edge of the post Edinburgh Yarn Festival lurgy, so I think a couple of good lay ins will do me the world of good!!! I hope that wherever you are and whatever you are doing you stay happy, well and warm - if you want to let us know what you are up to then please hit reply and let us know - we do love hearing from you! Sending crochet love and yarny kisses. Here I am again with another newsletter and this week Sarah and I have focussed on sewing and embroidery as a theme. As you may well know, Sarah is a very accomplished stitcher who has produced some really fabulous pieces of sewn art work and so this week she has written the main feature, which is all about an exciting forthcoming exhibition she will be involved in. Sadly my sewing skills don't even begin to compare to Sarah's, but I am a really big fan of all things stitched and often use embroideries and tapestries as the inspiration for my designs, so I have tried to add pieces into this week's newsletter that fit the theme well. Hi! It’s Sarah here with a feature that is really very close to my heart! If you are already a fan of embroidery and the whole mid-century aesthetic then I hope that the following will be of interest to you – if not, then I hope that you will be inspired to visit a brand new exhibition in Birmingham later this month, as well as pick up a needle and thread. Eighteen months ago I visited the Festival of Quilts exhibition at the NEC in Birmingham. I have visited this show on and off over the years, but 2017 was special. I had arranged to meet up with indigo enthusiast Lindsay Roberts. 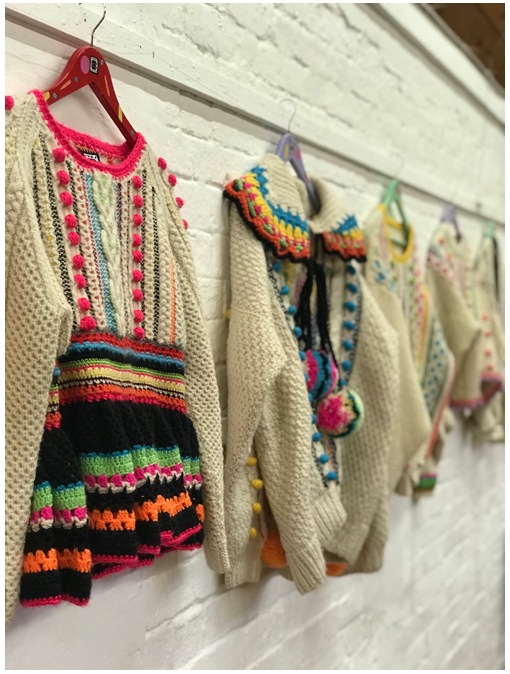 We had chatted away on Instagram, but never met – the exhibition provided the perfect opportunity and we spent a fabulous day revelling in fabric and threads! The highlight of the day was being introduced to Tanja Malo , the owner and founder of www.linladan.com. Roughly translated, the Swedish ‘linladan’ means flax barn. The Swedish tradition of using flax or linen as both a fabric and a thread in embroidery is one that Tanja is not only keen to preserve, but also to promote within a modern context. As we become increasingly concerned about working with sustainable fibres, linen is a go to resource. It uses less water to produce and remains strong seemingly forever! I have recently been working with fabric and threads that are over 50 years old and it is as if they were made yesterday. 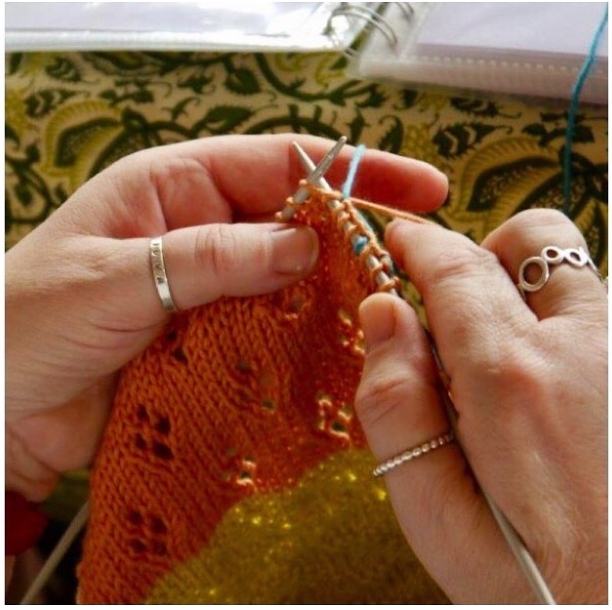 The chances are that if you have visited any of the Knitting and Stitiching shows, Selvedge fairs or Festival of Quilts exhibitions over the last few years you may have dropped across Linladan. I cannot imagine anyone being able to pass the glorious riot of colour that is created from little boxes of vintage linens, flower threads and silks, but Linladan is more than just finding lovely old stuff to sell! There is an ethos behind the business that encompasses provenance, fair pay and working conditions, sustainability, respect for all that is handmade and attribution for the original designers and artists and I have no doubt that the exhibition will reflect all of these qualities. It is only through sheer hard work and determination that the Nordiska exhibition has come into being. Years of research have led Tanja to discovering not only the Nordiska archive itself, but also some of the people who were originally involved back in the 50s, 60s and 70s. This has enabled her to produce kits from the original designs with a percentage going to the original designers in recognition of their contribution and legacy. The exhibition will include original paintings and embroideries as well as the hand drawn charts that were used to produce kits. Tanja has been able to speak and work with those artists who are still alive and members of other families who worked at the Nordiska factory. This has enabled her to not only learn more about their practise and inspiration, but also to find out which designs were among their favourites. 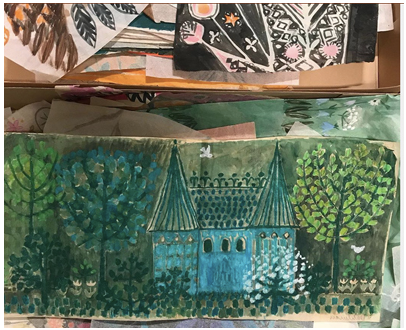 Many families and artists have lent Tanja examples from their own personal collections, like Kaisa Edstroms hand embroidered wedding dress from 1963 and Ingrid-Dahlman’s Sagoslottet Fairytale Castle. It has often been difficult to find the original instructions for a design which has made reproducing the kits as exact replicas quite tricky. Linladan is now onto its second print run of kits. More instructions have been found and suitable linen has been sourced. Every effort has been made to add threads in colours as close to the originals as possible. 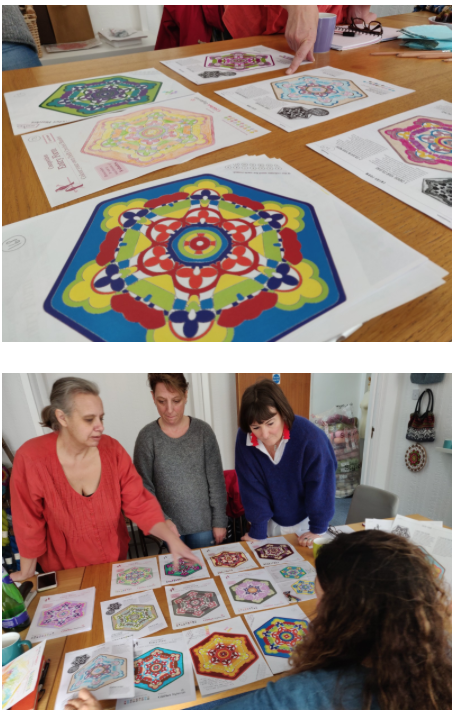 Moving forward, Tanja would like to continue working with the archive and encourage embroiderers to use their own palette of colours when stitching. In the 60s all prints would have been made on the same colour background. Now it is possible to make smaller print runs in different colours so that embroiderers are free to interpret the designs in their own way – using more or less colours than the original, using pastels, neutrals or even neons instead of a more traditional palette. Next week I will be joining Tanja to help set up the exhibition. This will be the first time that much of this work will be on show to the public, so I am incredibly excited! 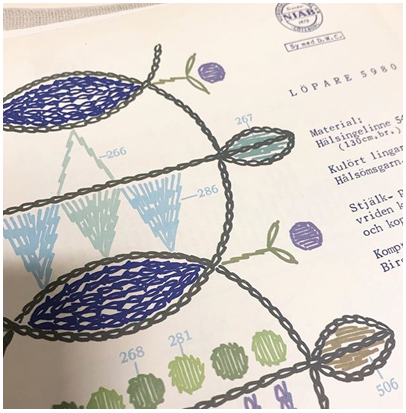 I am also going to be teaching one hour workshops each day where participants will have the opportunity to practise some of the most popular stitches of mid-century Swedish embroidery. We will be using linen threads on linen fabric, with patterns from the Nordiska archive. 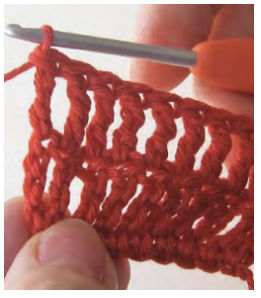 I am always amazed by how the simplest of stitches are able to convey so much. The exhibition will run as part of the Fashion and Embroidery Show and tickets also include entrance to Sewing for Pleasure and Creative Craft Show. Full details can be found via this link and details of the workshop 'A Thread Through Time' can be found here. My thanks to Tanja at Linladan for letting me join in the fun and to Claudia Brookes, for the use of these fabulous images. If you do get chance to come along, please say hello so that we can share more inspiration with you! Sarah says she hates it when thread starts to tangle or turn back on itself. To stop it doing this Sarah suggests running the thread through bees wax to make the twist on the thread stronger and tangle free. 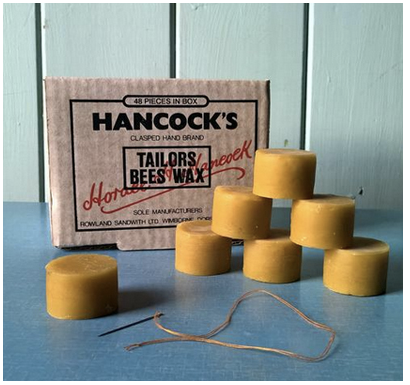 You can find Hancock's beeswax blocks on the Beyond Measure web site by clicking on the image below. Sarah's second tip is to use quilters tape as a guide if you struggle to sew in a straight line. You can find the tape by following this link to the Cotton Patch web site. If you have any life hacks or craft related tips you would like to share within this section of the Friday Feature Newsletter in the future, then do hit reply and let us know. I have added a few new pages onto the new web site this week including a workshop page that lists my dates for 2019. You can find the page by following this link. My next workshop will be at the lovely Missenden Abbey School of Creative Arts in Buckinghamshire on the 9th and 10th March. This is a crochet motif design workshop, which is aimed at people who want to have a little play with their crochet in order to change or adapt existing motifs or possibly design their very own motifs from scratch - something that is in fact far easier than most people think and which can come quite easily once a little bit of basic information about how crochet designing 'works' alongside a pinch of encouragement is given! You can find more information on this workshop by following this link. I am hoping to have more time to work on the web site next week and will let you know what pages I manage to put live in next week's newsletter. 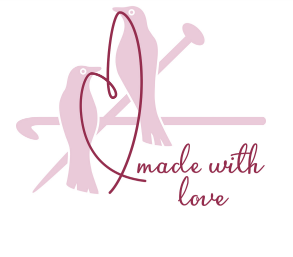 The shop area on the web site is still not up and running, so if you are interested in any patterns or kits, then you might like to take a look on the Just Knots web site or on Black Sheep Wools as both these stores carry good stock of my designs. As I have told you already, about six weeks ago Andrew and Andrea from the Fruity Knitting Podcast dropped into the studio so that I could take part in an interview with them. The resulting video is on their Youtube feed, so I would love it if you would take a look! If you are a Fruity Knitting Patron you can still make use of a 10% discount on the 3 CAL projects I talk about in the episode - follow this link for more information. 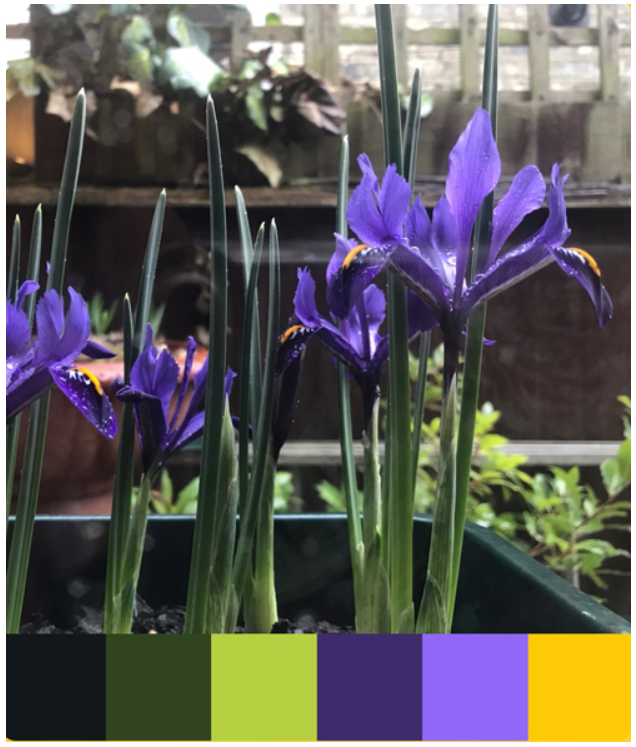 Last weekend saw unusually warm, bright weather here in the UK, but the last few days have been much greyer and are far more usual for this time of year and so I have chosen a palette this week that reflects this! 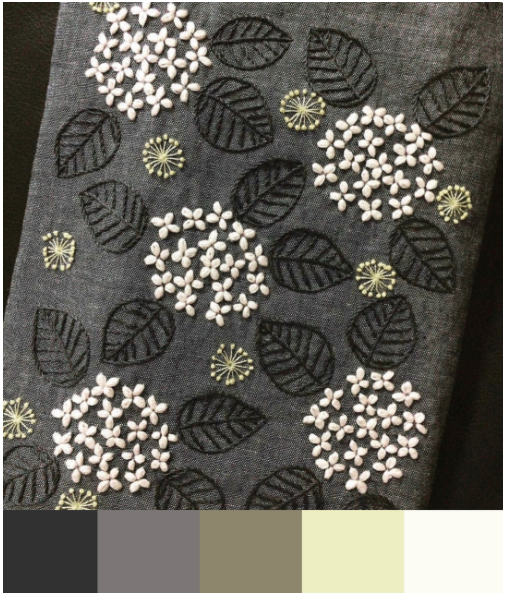 The image used for this week's palette has been saved on my phone for a while as I was attracted to the sophisticated choices made with colour and surface pattern on this embroidery. 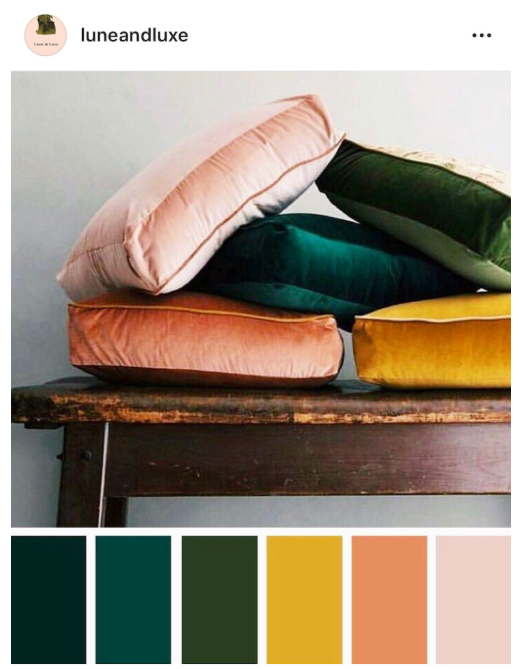 This kind of mixture of greys and yellows has been a really strong trend for the last few years and I am still itching to use it in one of my designs - perhaps Mystical Lanterns would look great in this tight palette? What do you think? The image is from an account called Handmade.Embroidery on Instagram. I have always been a huge fan of the fashion house Alexander McQueen. You may remember me recommending that you all go to see the documentary film about Lee Alexander McQueen last year - it is an amazing insight into the vision of the incredible designer that he was, but it is also unbelievably moving and sad. In the wake of Lee's death in February 2010 it was Sarah Burton who took the reigns at the brand and I think she has done an incredible job harnessing the legacy of Lee's vision and she continues to design simply amazing things. If you think you may not have seen one of Sarah's designs, then think again - she designed the Duchess of Cambridge's iconic wedding dress in 2011. 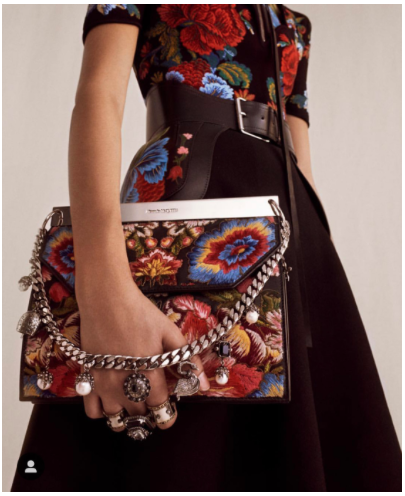 I am a huge fan of the Alexander McQueen Instagram account. The pictures on there are fantastic and the range of close up images in particular are really great. 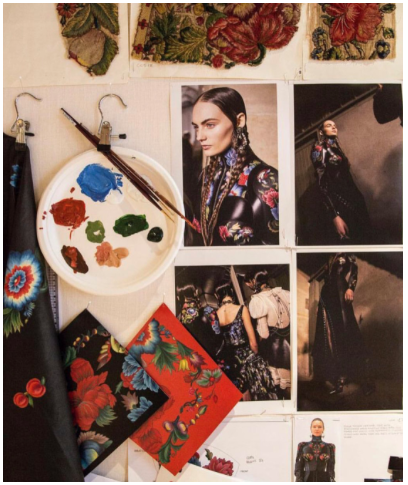 The images often come with the written story of the how the clothes were made and it is clear that the skill of the crafts people involved, whether they be seamstresses, leather workers, embroiderers or painters, is a really key part of how Sarah Burton makes this such an inspirational brand. 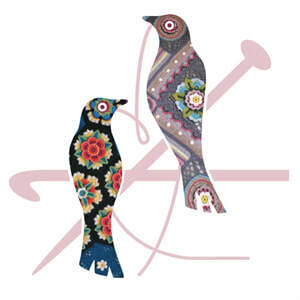 The images I have included here show pieces from the newest collection and I love how much embroidery has been used. 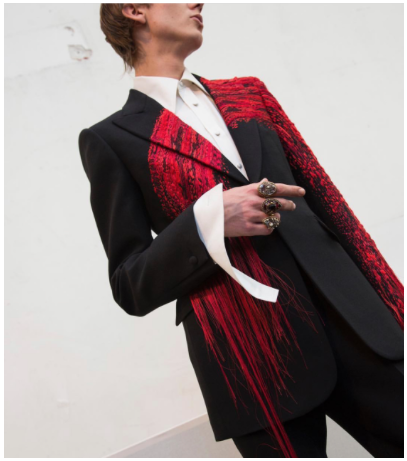 I want to draw your attention in particular to the black jacket with what looks like splashed red paint across it from the most recent men's wear collection - shown below. 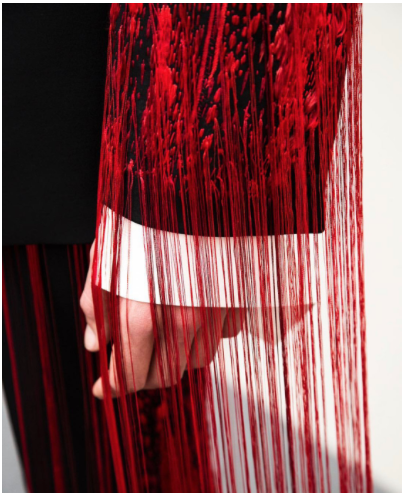 On closer inspection the detail on this jacket it intricately stitched - isn't it incredible! When I saw this close up image I was totally blown away, and I am sure that you will be too! 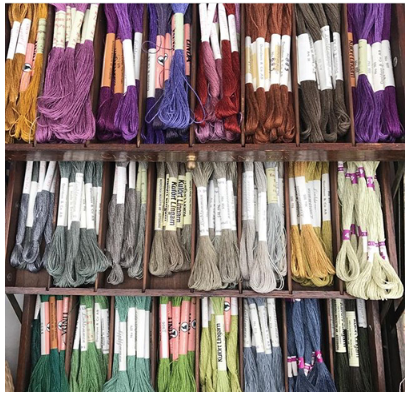 There is a really good interview with Sarah Burton on the Vogue web site, within which she talks about the importance of the heritage of traditional crafts. You can find the interview by following this link. We had a fabulous time at the Unravel Yarn Festival last weekend and I would like to say a big THANK YOU to all those of you who came along to say hello! We had a new stand layout, which included our new piece of IKEA furniture that we finally managed to go out and get (!) and I was really happy with the way the blankets and throws looked on the display. 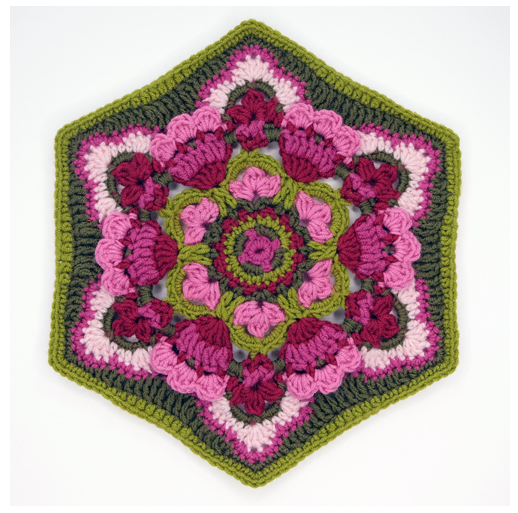 My Magic Circles blanket was particularly popular at Unravel. It is funny - we can never predict which blanket will be the star of the show, it changes every single time! I know some people were disappointed that we ran out of both the printed pattern and the kits, so I include a link here for you to easily find them. Magic Circles is shown in the image above behind Fields of Gold and Lily Pond. Alongside all the fabulous exhibitors, Unravel also featured talks and presentations and I was really excited to finally meet and see the work of fellow crochet designer Katie Jones, which was on display in the gallery. We are looking forward to a quiet weekend at home. With a bit of luck I might actually finally get the last coat of paint on the hall walls! The house is in major need of a spring clean, so the wet, colder weather might well provide the perfect opportinity for us to do it, although I suspect I am more likely to sit on the settee with a box set of movies to watch on the TV and a lap full of crochet. I am trying to catch up with The Victorian House of Arts and Crafts on BBC Iplayer, so this will be a wonderful distraction from painting!!! I would, as always, love to hear what you have planned for your weekend and hope that whatever it is you are set for a fabulous couple of days of rest and recouperation. In this week's newsletter I have included some information on 2 forthcoming workshops that might be of interest to you. 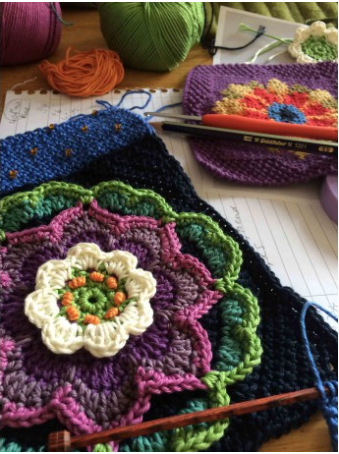 One is a crochet design based weekend workshop that I will be teaching at Missenden Abbey in a few weeks time and the other is some news in regards to the next Knit For Peace workshop in Mysore, India. Do read on further down the email for more information on both of these. As mentioned in my introduction this week I have news of 2 new workshops that you might be interested in. I have been lucky enough to teach on the Knit For Peace workshop holiday in Mysore, India twice before and had been in discussion with the charity about tutoring in Jaipur in 2020, however, due to unforeseen circumstances, I will now be replacing Gillian Ely and Debbie Bliss as tutor on the January trip to Mysore once again. The dates of the trip are the 18th to the 31st January and you can register your interest by contacting the charity. More information will be on their web site soon. I will also be tutoring a weekend workshop at the lovely Missenden Abbey School of Creative Arts in Buckinghamshire on the 9th and 10th March. This is a crochet motif design workshop, which is aimed at people who want to have a little play with their crochet in order to change or adapt existing motifs or possibly design their very own motifs from scratch - something that is in fact far easier than most people think and which can come quite easily once a little bit of basic information about how crochet designing 'works' alongside a pinch of encouragement is given! You can find more information on this workshop by following this link. 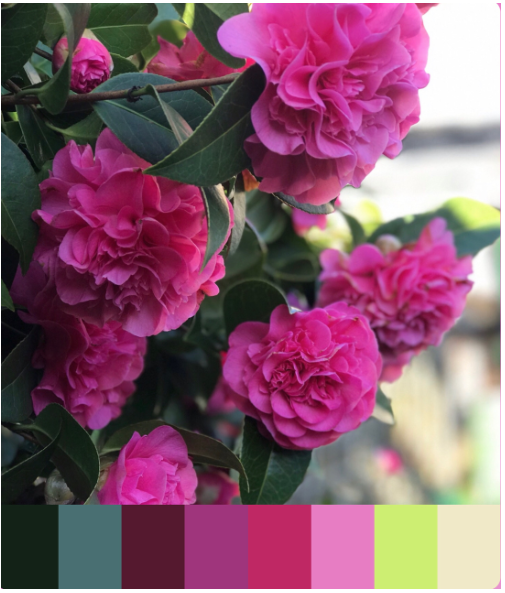 This week I have taken my palette of colours from a picture I took of my Dad's incredible camelia bush in his garden. The bush is currently full to bursting with these beautiful flowers and I just love it! We have tried to grow camelias in our own garden, but have never had any luck keeping them, so I am very envious of this one that gives my Mum and Dad such a wonderful display each February. I have to admit that the palette I have taken from this image surprised me a little as I would have predicted that the flowers were more yellowy pink than bluey pink, but I guess it might be that the shade of the trees in the garden creates different light on the flowers. We have done our first round of judging on the Delft colouring competition this week. We received over 230 entries, which is amazing and it was really hard to make choices between the entries as the quality was so high. 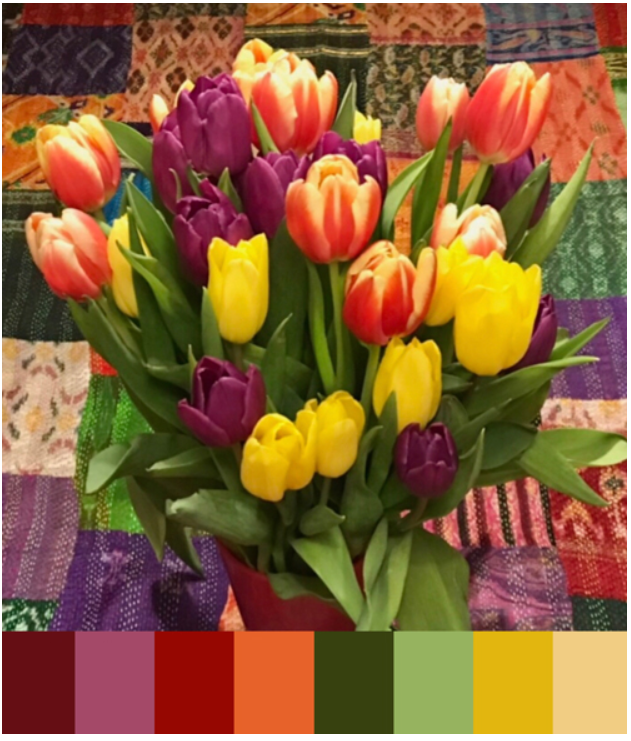 We have chosen our 7 favourite colour palettes and will be crocheting the samples over the next week, so that we can reveal them to you in their crochet form early next month. The image above shows the selection process and features graphic designer Luise Roberts, myself and Sara Huntington, editor of Simply Crochet magazine. The two other judges were Stylecraft's Brand Manager Annabelle Hill and Juliet Bernard. Please note that images above do not necessarily feature colour palettes of the selected finalists. I want to send a big THANK YOU to those of you who took the time to send in an entry. 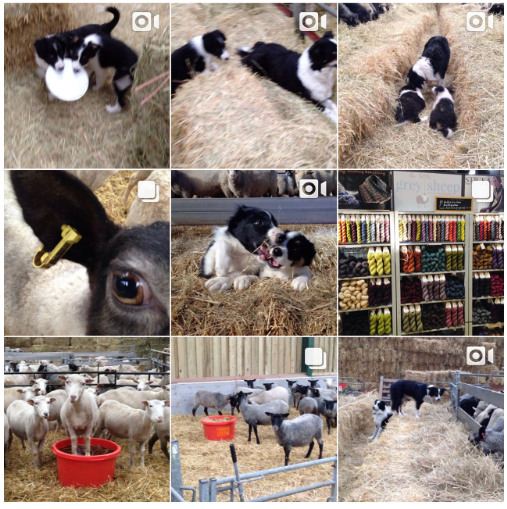 My Instagram favourites to date have been based on feeds that I find attractive visually. 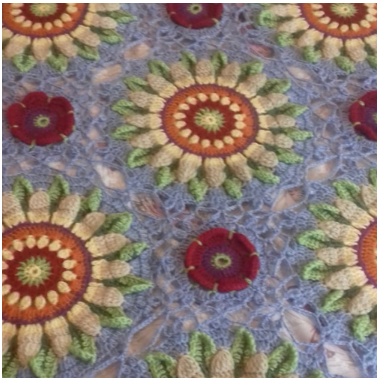 I have featured knitters, crocheters, embroiderers and interior designers, all of whom provide bright interesting images of their work or inspiration, which in turn create a reaction in me. This week my Instagram Favourite ticks all the boxes mentioned above, but more recently Jeanette Sloan has also become one of the leading voices within a very important discussion on social media. If you haven't checked out Jeanette's feed already, then you can find the link here and by clicking on the image above. 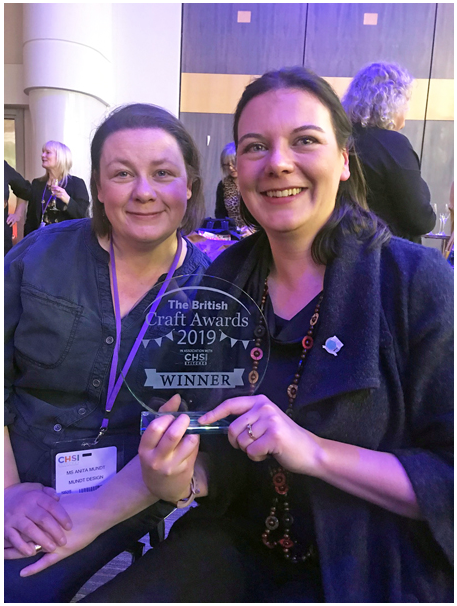 I told you last week that we were heading off to the NEC in Birmingham to the Stitches trade show and had been invited to the British Crafts Awards ceremony. Well, we had a lovely day at the show and at the event in the evening where I was really thrilled to come runner up, behind the wonderful Dedri Uys of Look at What I Made, in the crochet designer of the year category. Dedri has been in the running for the award many times so it is really great that she finally won. The image below is of Dedri with Anita Mundt from Scheepjes. As I already said, this weekend we are at the Unravel Yarn show in Farnham. We are really happy with the stand - we did make it to IKEA at last and have a new 'open wardrobe' as part of our stand layout. I think the new piece of furniture shows all the blankets off really nicely and so I will put some images on my Instagram feed. If you are coming along to the show please drop by the stand to say hello - we are in the Great Hall. If you have been visiting the new Janie Crow web site you probably won't have noticed much of a change since you last visited, so next week it is my intention to get some more new pages on there, so do keep looking out for new things. Whatever you are up to I hope you have a lovely weekend. If you want to get in touch simply hit reply and let me know what is on your mind. As always I cannot believe just how fast the last week has flown by - the older I get the quicker my time seems to go - it can be a bit scary at times! This week Sarah and I have been looking at ways of putting healthy habits into practice or keeping in line with those you may have already created. As I have said many times before I found myself in a situation where I needed to reboot my habits and routine a year or so ago, when I felt that everything had got a little bit out of control and when my work in particular was taking over too large a chunk of my time. By working through some very simple exercises over the course of a few months I managed to rearrange my life a little to make room for the things I felt I was missing out on. It is really easy to loose sight of your goals, be they personal or work related, and get caught up doing things you may no longer enjoy. I have a series of 'post it' notes on the wall in the studio that say things like 'Gym', 'Family', 'Delegate' and 'Prioritise' on them to help me stay in control. I have recently also started using a timer on my phone - I set it to go off at hourly intervals so that I can judge how much time things are taking me, as I do have a habit of spending too much time on small things that are not massively important and so leave too little time for all the other things that need to be done. Last year one of the things I was really guilty of was filling my spare time with work - I think when you are self employed this is an easy thing to do, so over the past year I have tried to create some new pass times and hobbies. 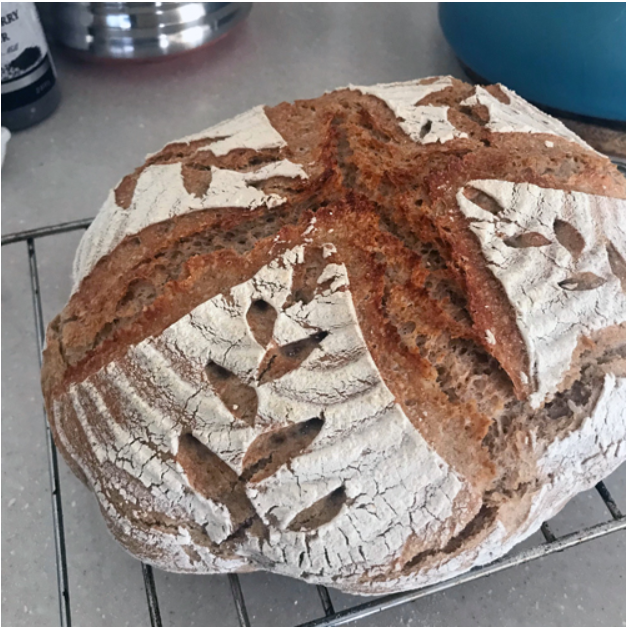 My sourdough bread making, for example, has become a good distraction and (although my waistline has possibly suffered a negative effect as a result) I feel the process of making the bread 3 or 4 times a week provides me with some really good therapy! The other thing I have started to do again is walk and Sarah mentions the positive effects of walking within her piece further down. When I had my beloved dog I walked over the woods with her every day, but since loosing her 18 months or so ago the walking habit died too! Sarah has some tips for keeping up with healthy habits and has written a great piece for this week's newsletter, so do scroll down to take a look. As usual this week's newsletter features both a palette and a tip of the week alongside a few other bits and bobs that I hope you will find of interest. As always, if you have anything you want to say to us, simply hit reply and send us an email. I am really pleased to be joining you again for the Friday Feature and hope that you are all feeling the benefit of any changes you might have made to improve your sense of wellbeing. If like me you started off full of good intentions at the beginning of January and have managed to wander slightly off piste, take heart, you are not on your own. This can be a tricky time of the year to navigate. The festive season is well and truly behind us, but the weather is still unpredictable and although there are the odd signs of spring, there isn’t quite that ‘smell’ in the air yet. However, this could be the best time to check in on the benefits of a healthier lifestyle without all the pressure of the “New Year, New Me” stuff. 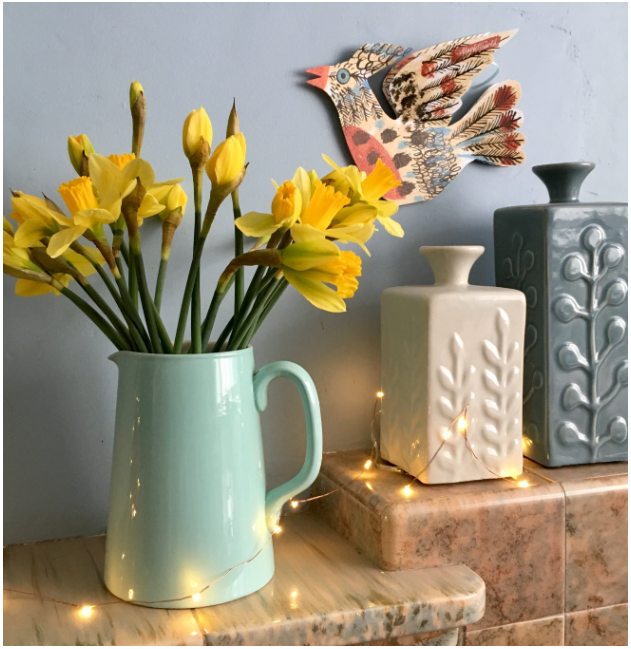 A few daffodils and twinkly lights is a good way to remind yourself that lighter, warmer days are on their way. A good night’s sleep is one of the most restorative, mood and energy boosting treats you can give yourself – and it is the quality, rather than the quantity of the sleep that matters. I recognize that this may be really irritating to read for those who struggle to sleep as I guess you will have tried all of the following. however, it may help someone and it certainly got me thinking about how I approach the end of the day. Make sure your bedroom is dark, quiet and well ventilated. Try to go to bed and get up at the same time – trickier at the weekends I know, but changes in this routine can often lead to migraine. Avoid screens, (even the TV) an hour before you intend to go to sleep. If you do wake up you could try reading or do something else relaxing until you feel tired again – do not be tempted to check your devices! I often watch the TV before going to bed and, although I read once in bed, this checklist has made me think about when I watch some of my favourite programmes. Rather than staying up late to catch something, I am going to try recording it and watching it at a better time. It’s a small change, but if it improves the quality of my sleep then it’s a bonus. Healthy eating has never been easier, but it can still be a struggle some days. I grew up in a house where homemade cakes and biscuits were always available and no dinner was complete without pudding! I still punctuate the day and reward myself with sweet things. Deep down I know this is not good for me. In a previous Friday Feature you may remember I mentioned that I was going meat free during January. Well, I have stayed meat free and am still really enjoying exploring new recipes, tastes and textures. I am more conscious of the importance of cooking from scratch and how batch cooking can prevent relapsing into bad habits. I have eaten out a couple of times and given in to dessert, but the important thing is that as a family we are making more conscious decisions about what we eat. Preparing food for and sharing new dishes with friends is a habit we have no trouble maintaining! My attitude to exercise is probably worse than my passion for cakes and puddings! P.E. lessons terrified me at school, but I was very good at ballet, so I do appreciate the importance of exercise and the tremendous boost it can give to our wellbeing. I guess it is another case of finding what works for the individual. I love walking and take my dogs for a run twice a day, so not a complete couch potato! I think walking is a great way to exercise and allows you to make discoveries along the way. Who would have thought that this photo was taken in the heart of Birmingham! Despite my treks with the dogs I could definitely do more and so recently we have started walking to the local supermarket instead of taking the car. I often leave things upstairs so that I have to make several trips – sounds crazy, but every little helps. I have also discovered a five minute morning yoga routine that I am going to try. I know that lots of you run, cycle, work out and do yoga, so I hope you are not too appalled by my less than energetic ways. Finding the time to exercise can often be a constraint, but anything is better than nothing, so that will be my starting point! We need a small amount of stress to function and to keep motivated but too much is detrimental to both our physical and mental health. It is something we will all face at different points in our life and the triggers will be different for all of us. However, we can develop habits or strategies to alleviate this pressure when we are often at our most vulnerable. Not a day goes by without some report about the negative impact of technology (and often specifically social media) on our health and wellbeing. I have been as guilty as the next person on the number of times I check my phone and counting the number of likes a post gets on Instagram. Apparently, every time you get a like on Facebook or Instagram you get a little hit of dopamine, every time you see something new you get another hit – that is why it is so addictive. The dangers are well documented – constant connections to our phones leads to lack of focus and concentration and creativity, poor sleep and probably most harmful of all – endless comparison with the apparent success, luck and gorgeousness of other people. This is not intended as a rant against the use of social media, just a gentle reminder that it is OK to take a break! 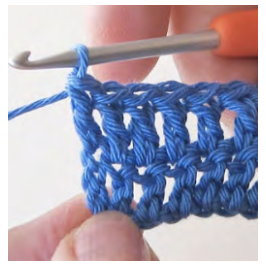 Chances are that if you are reading this feature it is because you crochet, knit or stitch, possibly all three. Working with our hands and engaging with calm, rhythmical and repetitive action leads to a state of flow, similar to meditation. Our focus and concentration improves and our self esteem improves. It helps us to feel grounded in an ever virtual world. These are great habits and certainly the ones I feel most easy to maintain. Everyone’s circumstances are different and it is so easy to forget to take care of ourselves. Without some level of self care, both our physical and mental health is likely to suffer. Self care is not a hedonistic concept it is about developing a calmer, balanced and healthier lifestyle, often through tiny changes. 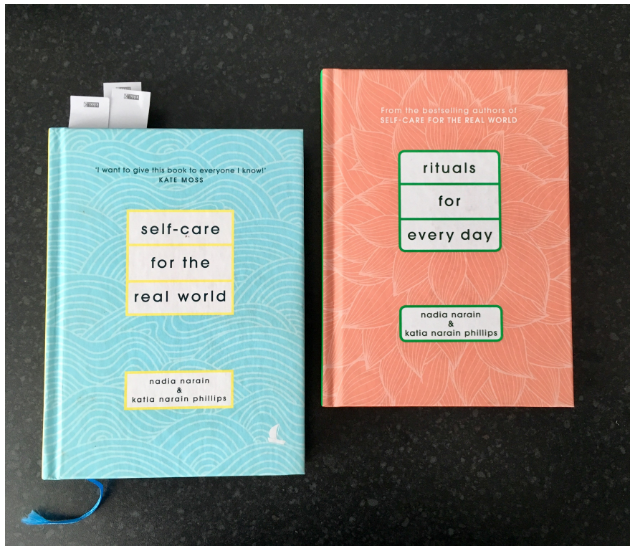 Two books that I refer to all the time are Self-care for the Real World and Rituals for Every Day. They are written by two sisters, Nadia Narain and Katia Narain Phillipsand published by Penguin Random House. The emphasis is on suggesting ways to look after yourself and boost your sense of well being, rather than dictating a regime. They are realistic and recognize the curve balls that life throws at us. I hope you have a great weekend and that you are able to eat something nutritious, get outside and breathe some fresh air, but also find time to rest and relax with your current project. 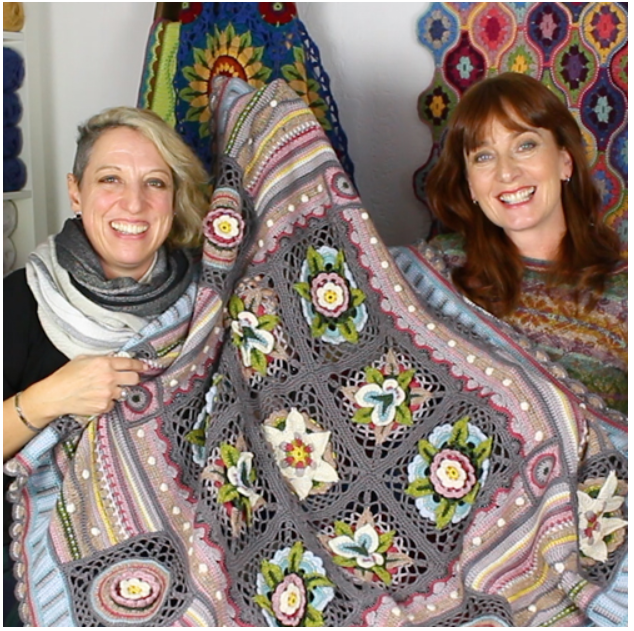 The new Janie Crow web site now has 14 free technique downloads and a range of helpful YouTube videos uploaded to help you on your crochet journey. You can find them by following the links. 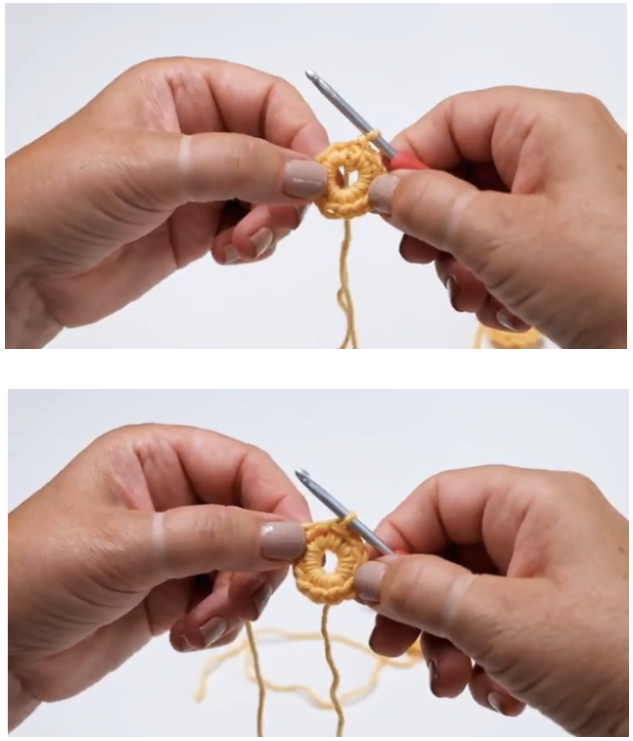 This week I want to highlight one of the videos - 'How to make a neat ring' - as it features a great little tip on how to make sure your slip knot isn't visible in your foundation ring when working in the round. The images above show how much better the ring can look if you use this tip. You can find the video by following this link. The response to the new web sites has been amazing - thank you to all of you who have taken the time to comment on them and get in touch. For those of you who don't already know, the new Just Knots web site is a retail site that replaces our original Janie Crow one and for the time being historical links from Janie Crow, such as those in past newsletters and magazine features for example, will be automatically redirected to this site. Going forwards though, anything related specifically to me and my design will be featured primarily on the new Janie Crow site. About six weeks ago Andrew and Andrea from the Fruity Knitting Podcast dropped into the studio so that I could take part in an interview with them. The resulting video went live on Tuesday via their Youtube feed, so I would love it if you would take a look! I wanted to feature a bright and cheery palette this week. I took this image in February last year - I remember going out and getting a bunch of tulips in the hope that they would cheer up a dull and miserable couple of days. The image was taken with the lights on at home, so it isn't brilliantly clear, but I think I have managed to create a nice palette of shades from it - I really do love purple/dark red shades with bright greens. I remember thinking that we were heading into spring this time last year and then we had all that snow! We did the Spring Knitting and Stitching show in thick snow (the worst that London has seen for years) and had snow again when we were at the Edinburgh Yarn Festival and that was mid March, so I am guessing there is still a chance that we haven't had all our winter weather just yet - it is lovely to start thinking about the spring though isn't it! The colouring competition has been a huge success - our postman, Dave, has been kept very busy this week delivering all the entry forms! I have been incredibly restrained and have yet to open a single one of them. A small group of us will be going through the entries and picking our favourites next Wednesday and I really can't wait to start looking through them. I want to send a big THANK YOU to those of you who have taken the time to send in an entry. We will be revealing the 5 finalists in early March - so do look out for more information on that very soon! 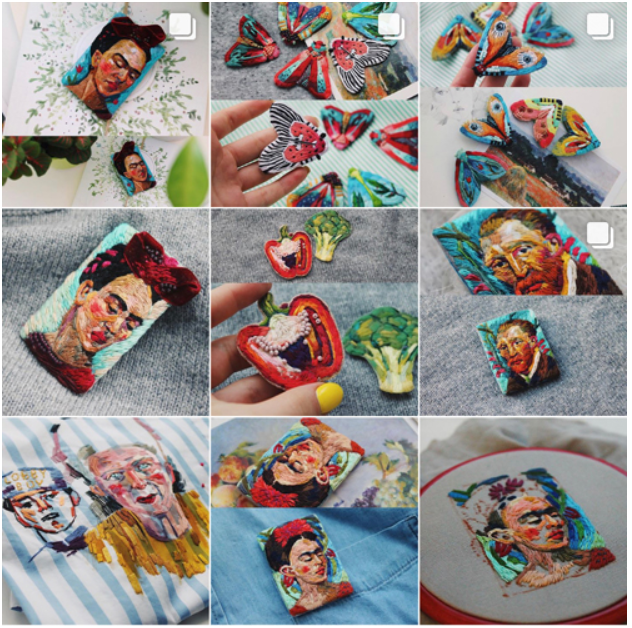 ​I have recently started following the work of quite a few embroiderers on Instagram. I really love the detail of some of the things they are doing and have been really surprised at how innovative and exciting the craft has become. I have been following @fistashka.art for a few months now and I just love it when her work comes up on the feed. 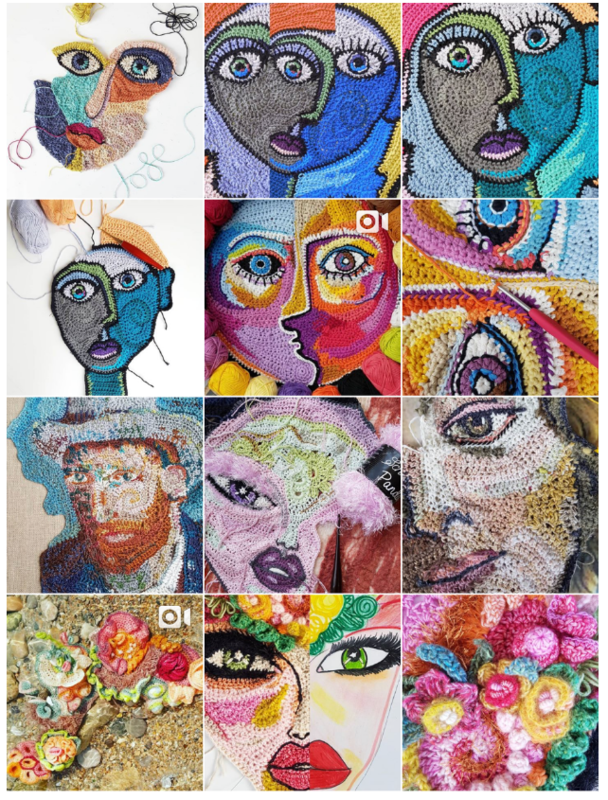 Polina, the embroiderer behind Fistashka Art, is from Russia and has been embroidering since 2015. Recently she has been concentrating on lovely moth and butterfly brooches, but you can see from the image that she also works on mini portraits and larger pieces. Last week I featured Mark @theguywiththehook as my Instagram favourite - I hope you followed the link and liked his feed. This week Mark has completed his tribute to the legend that was Freddie Mercury. Isn't it amazing! You can find the pattern via Mark's blog by following this link or clicking on the image above. 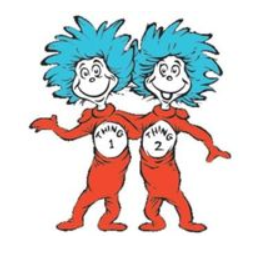 I am looking forward to a day at home tomorrow, although we didn't make it to IKEA last weekend, so it may well be that we decide to squeeze this in at some point. On Sunday we are going to head up to the NEC in Birmingham to visit the 'CHSI Stitches' trade show. I am really looking forward to this as we are going to catch up with Sarah while we are up there and I have been invited to attend the British Craft Award ceremony in the evening. 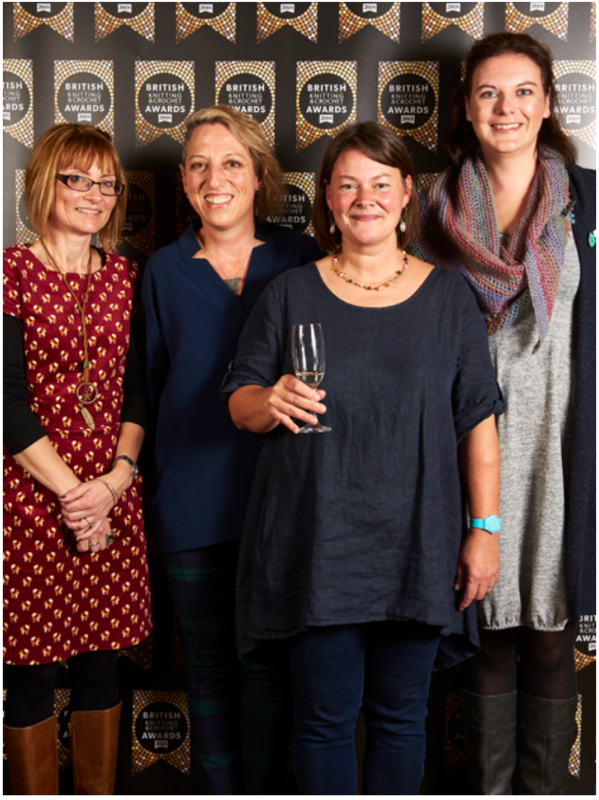 Thinking about the event on Sunday reminded me that I was recently sent some images from the British Knitting and Crochet Awards party back in October. I thought you might like to the one above as it is not often that Lucy from Attic24, Dedri from Look at what I made and myself manage to collide at the same time. The image also features Sarah Neal, Editor of Let's Knit magazine. Next week we will be heading off to exhibit at Unravel Farnham. The show starts on Friday and runs through to next Sunday. If you are planning to visit the show please drop by our stand to say hello - we will be in the main hall. Thing One: My new JANIE CROW web site has officially gone live today! The site it is not totally up to speed, but I am so desperate to show it to you that I decided it should go live regardless - I hope you will like it! You can find more information about the new site in the 'What's New' feature lower down this email. Thing Two: I will be taking over the Instagram feed at Simply Crochet Magazine from tomorrow morning through to Sunday evening, which means I will be busy sharing images and stories for the weekend. Please do drop by to take a look! This week I had planned to take a look at the new fashion trends for spring and had wanted to give you an over all view of what will be in and what will be out this year. There is one key trend that I really want to write about, partly because it relates so well to my yarny world, but also because I have always been a big fan of DENIM. Sadly though, with all that has been going on with the new web sites and all the catching up that needed to be done after our trip to Vogue Knitting Live, I have decided to schedule this piece in for a future newsletter. Don't forget that the colouring in competition closes next Friday, so you only have one more week to get your entry back to us in the post. The overall winner will receive £150, a yarn pack of their personal colour design, they will have their colourway included in a revised Delft pattern AND they will be featured in Simply Crochet magazine. The two runner up prizes are the same, but will receive £50 each. I think these are pretty great prizes, so, if you like a bit of mindful colouring in and are looking for something to do over the weekend, why not download the entry form (after reading the competition guidelines) and get colouring in! 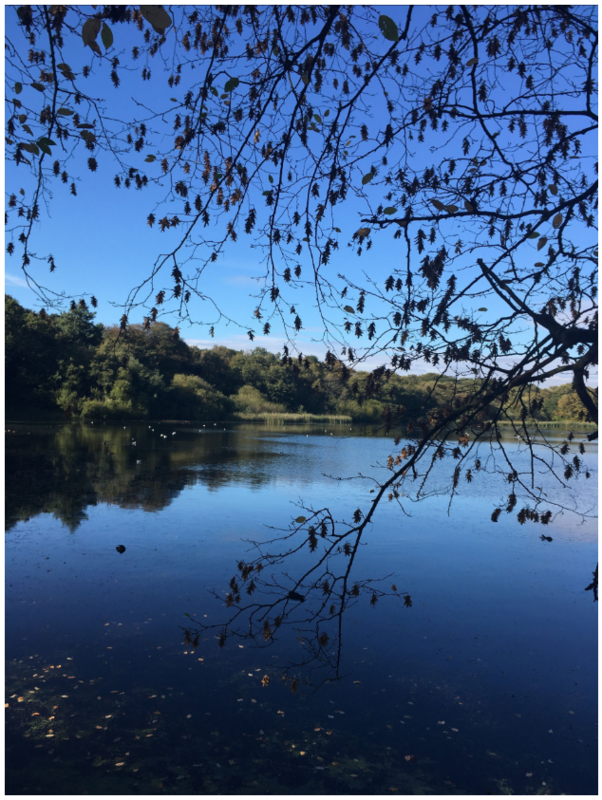 I hope you will enjoy five minutes away from what you are doing to take a short break in my company whilst you read through this week's newsletter - as always, if you have anything you want to say or contribute please hit reply and let me know! Don't get your knickers in a knot. Nothing is solved and it just makes you walk funny! I received an email a few weeks ago from a lady called Maggie Fork who has asked about sewing in yarn ends. I am a real stickler for dealing with yarn ends as I go along rather than leaving them until the end of a project and I must admit to being a bit fussy about it! 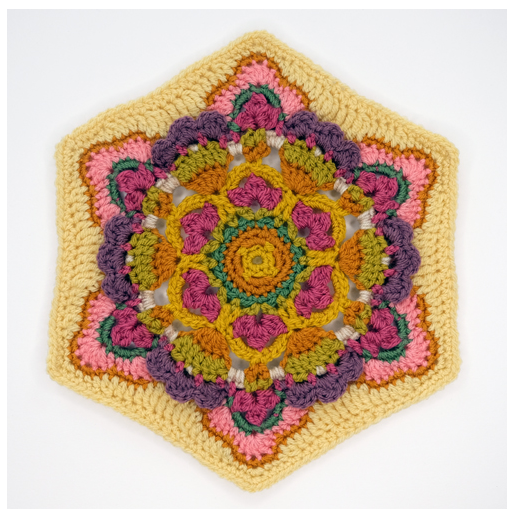 You can find a free technique download called 'Dealing With Yarn Ends' on the new web site by following this link. The download talks you through how to weave in ends and how to sew them in and is one of 14 free download files. So at long last we finally have TWO new web sites! I know, I know - they've been a long time coming, but I hope that after all this time they will be worth the wait! The new Just Knots web site is a retail site that replaces our original Janie Crow one. 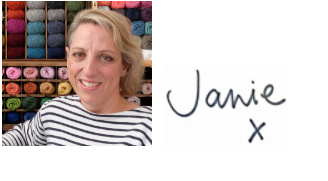 The web site is looked after in the main part by Andy and Sue and will act as one of our supported retailers of the Janie Crow brand. 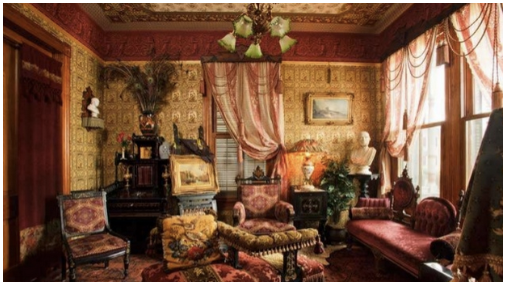 For the time being historical links from Janie Crow, such as those in past newsletters and magazine features for example, will be automatically redirected to this site, but going forwards anything related specifically to me and my design will be featured primarily on the new Janie Crow site. 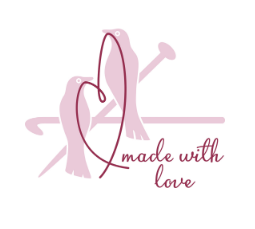 I would really like it if you would take some time to have a quick browse of both new sites - they will remain under construction for the next few weeks and the JANIE CROW one in particular has a lot more to add, but I am hopeful that you will find lots of interesting things on there already. My new site is basically the home for anything related to me and my design. 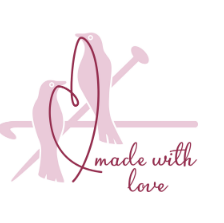 You will find free technique downloads, links to my Youtube channel, my blog and specific information about my designs on there and eventually you will also be able to shop for patterns and browse a small eclectic range of items such as bespoke crochet hooks and shawl pins. The new site will not be selling kits, yarn or other more generally sold items as these will be available via other stockists. You can find information on stockists and trade sales by following this link. This week's palette is taken from a photograph I took at my Mum and Dad's house earlier on today. My Dad always plants these lovely little irises outside the dining room window in the autumn so that they appear this time of year and I love the fact that they start to bring a little bit of colour to the garden. The mild weather has meant that Dad's camelia is also really busy producing the most beautiful flowers. I will try to remember to get an image of these to share with you at some point too. I love the fact that the bright shades of winter blooming plants are made all the more special by the grey weather - pops of colour really catch my eye this time of year and I love the bright purple, yellow and green of Dad's irises, even if I did take the picture from inside of the rain splashed window! As I said in the introduction to this week's newsletter there is just one week left until this competition closes. You can enter as many times as you like, so why not unleash your creativity and enjoy some mindful colouring in? 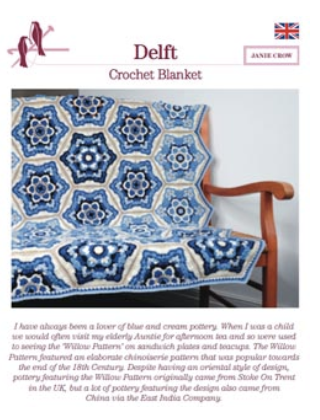 Simply colour in the motif chart to create your own version of my Delft blanket design, then pop it in the post to us along with your written entry form to be in with a chance of winning a great prize. You can find the downloadable information pack and competition guidelines here and the competition entry form here. 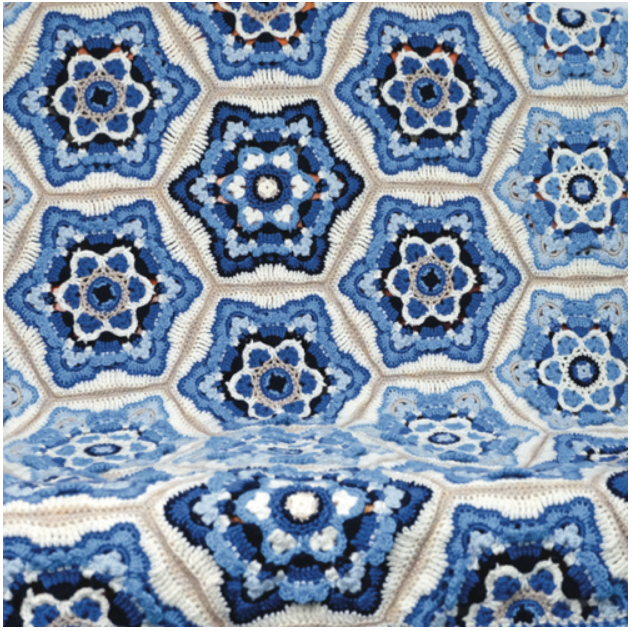 The original Janie Crow Delft Crochet Blanket was inspired by the blue and white Delftware from the Netherlands. 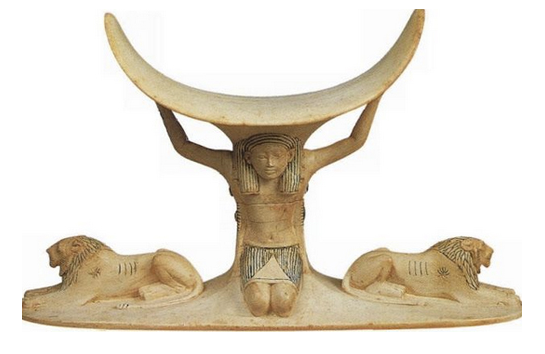 It is made up of a single motif, plus a half motif, worked in three colour ways: Dark, Medium and Light. Only one colour is worked in each round, and each colour way uses all the yarns – they just appear in different rounds and amounts. Using all the yarns in each motif is a foolproof way of ensuring a harmonious overall blanket design, but it is not the only way. Those of you that follow my blog or receive my newsletters know that I find inspiration for my colour palettes wherever I go. When I have an idea, I surround myself with the yarns that evoke the same feelings and start to design. I am fortunate in that I have an abundance of yarn in my studio, but you can do the same using felt tip pens, coloured pencils and paper. 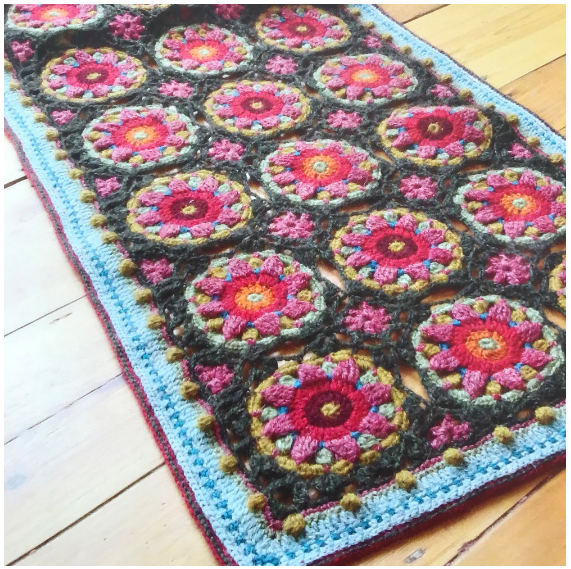 I find it fascinating how recolouring a design can completely change the way it looks and I love to see other crocheters versions of my designs, especially those that have used an alternative colour palette. With this in mind Luise and I thought it would be really fun to invite you to colour in a chart representation of one of my Delft design to see what wonderful ideas you can come up with. Dont' worry - this isn’t a design competition! You do not need to know how to design, or even how to crochet, all you need to do is colour in a chart and pop it in the post! The idea is that the entries will be judged and a selection of finalists will be chosen after a public vote. Winners will be given prizes and the yarn colour packs for the new colour ways, which will include the winner’s name and inspiration, will subsequently be available via Stylecraft stockists. The colour substitution documents for each new colour way will also be available as free downloads via this web site and will feature in an updated version of the Delft Blanket crochet pattern later on this year. My Instagram favourite this week is theguywiththehook. 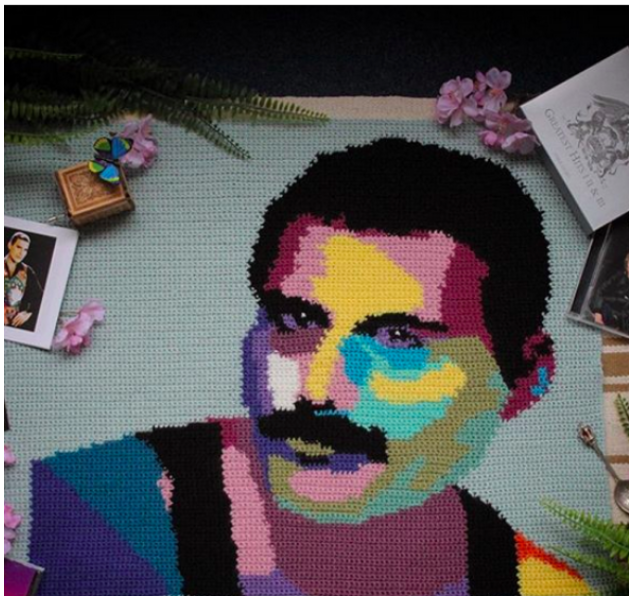 I love Mark's work and am especially intrigued at the moment to find out how his crocheted Freddie (top left of the image below) is going to turn out! 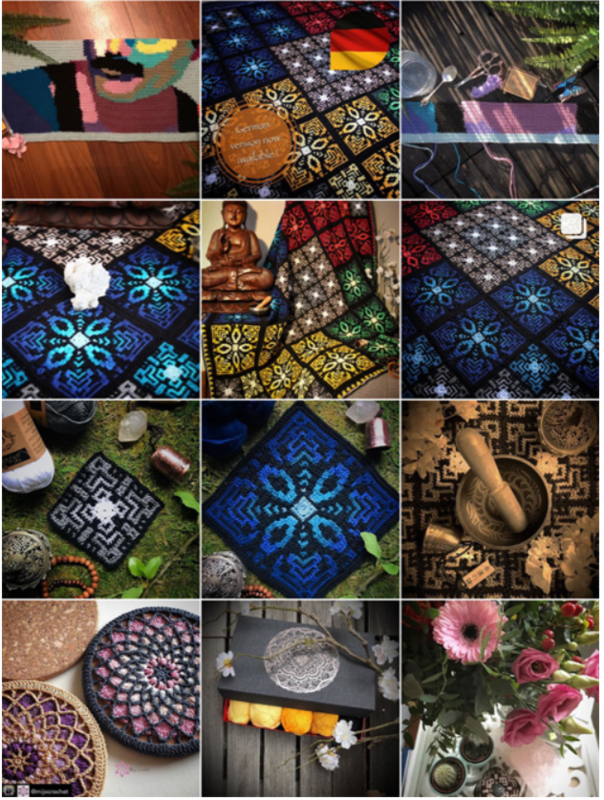 Mark has just released his brand new Tibet Tiles crochet blanket design, which is shown quite a few times in the image above and you can find his blog post and the pattern by following the link here. About six weeks ago Andrew and Andrea from the Fruity Knitting Podcast dropped into the studio so that I could take part in an interview with them. The resulting video is due to go live on Tuesday via their Youtube feed, so I would love it if you would take a look. 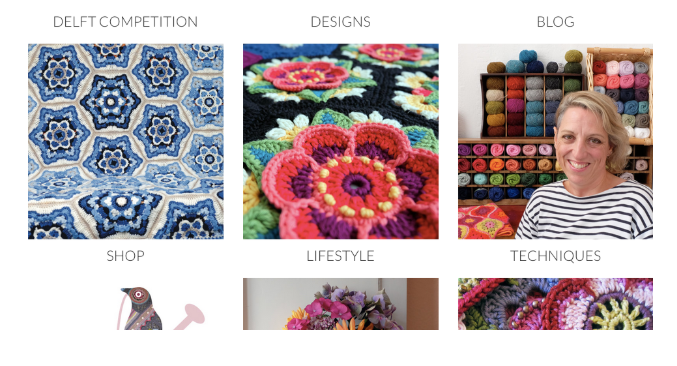 If you haven't seen any of the Fruity Knitting podcasts before then I suggest you do so! 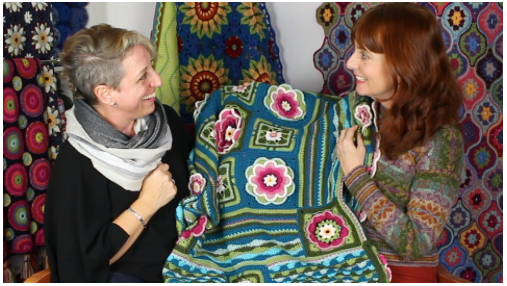 Andrea has interviewed some really influential makers, designers and yarn producers and she and Andrew always include some great features in their programmes, which are always really professionally produced and interesting to watch. I had a streaming cold at the time, so I am hoping I don't sound too snuffly! I know that this newsletter is once again heading out a little late, but hopefully it will land in your inbox at a time when you are able to take some time out and enjoy it! As I have already said - we have a busy weekend of web site buidling and Instagramming (is that a word?) ahead of us, but we are also planning some family time and maybe even a (brave?) trip to IKEA to look at display stands - we are heading into show season, so I am hoping we might find a cool solution to displaying my mounting pile of blankets! I leave you this week with this lovely image sent to me by Linda Smith via my Facebook page. I just love Linda's use of the lilac shade in place of the blues I used on the original version of Fields of Gold. Hope you have a lovely weekend and a good time next week - if you're heading out for a Valentines Day celebration then I hope you have a really nice time! Back Home and raring to go! This is a slightly late Friday Feature Newsletter this week as we are freshly back from New York and (after a bit of a jet lag driven lay in this morning) I have spent today trying to catch up with a back log of emails and orders. 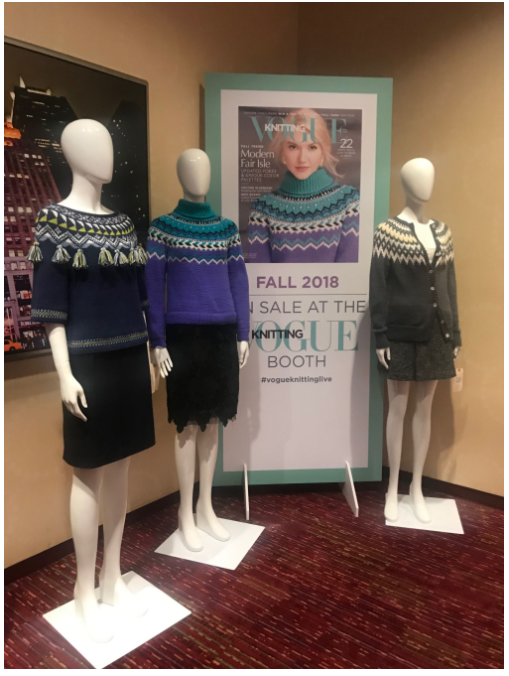 We had an amazing time at Vogue Knitting Live last weekend and I would like to thank you all for your good wishes and those of you who visited the booth - it really was incredible to be so far from home and meet so many people who already follow my work. You can find some images from the show lower down this email along with our usual features such as the Palette of the Week and my Instagram Favourite. We have returned to the studio to find lots of entry forms for the colouring competition waiting for us and you can find the information about this lower down the email too. This is the final Friday Feature Newsletter to be sent from this mailing list. If you want to sign up to the new list in order to receive the newsletters from next week on-wards then please see the information about this lower down the email. Next week's newsletter will focus on the fashion trends for spring and I will be including a nice piece from Sarah who is going to look at the craft of tie dying. As always, if you have anything you want to say or something you would like to be included in a future newsletter then do hit reply and let us know. ​I tried my best to share lots of images on my Instagram account while we were away, but the lack of good internet connection and the time difference meant that I was a bit out of sync with posting. Below are a few images I took whilst at the show. I have more and will share them with a little more back ground information over the next few weeks, once I am back up to speed. The light at the venue was quite blue, so please excuse the quality of a lot of my images - you can find better pictures on the Vogue Knitting Live Instagram site by following this link. 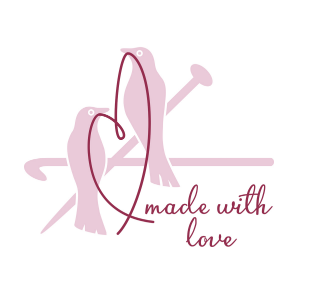 ​The image above is of the Magpie Fibres stand. 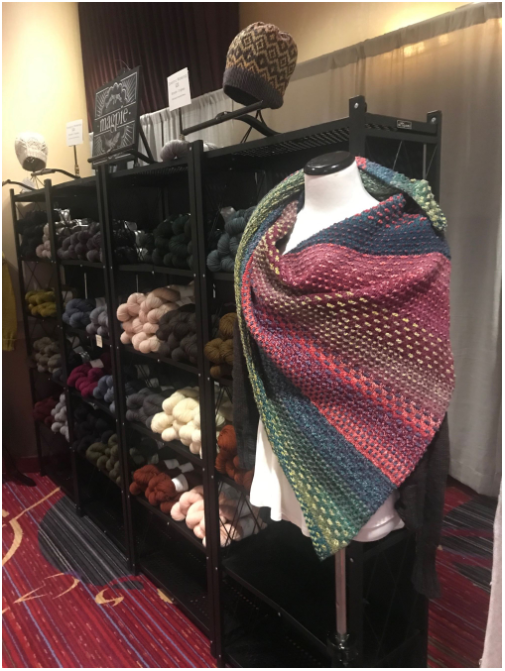 The shawl is called Nightshift and it is by Andrea Mowry aka Drea Renee Knits - you can find the pattern by following this link. The image doesn't do this beautiful shawl justice I am afraid, but you will find better images on Andrea's web site. 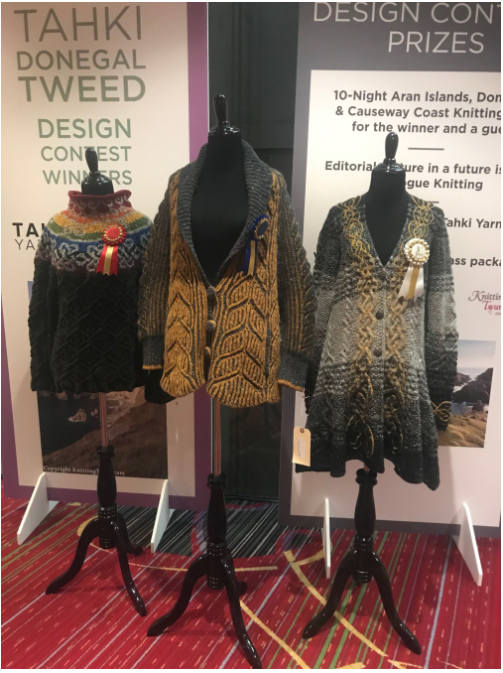 The image above is of the 3 winning finalist designs in the Donegal Tweed exhibition. The brioche one in the middle, which won first prize, is particularly beautiful don't you think? 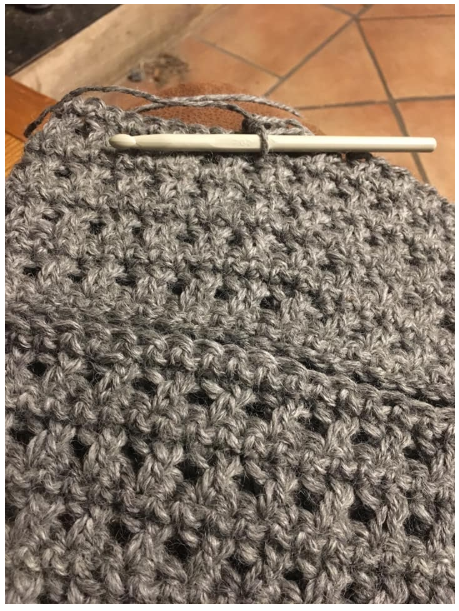 real stitch.....I must say I have only recently discovered it and am now a complete convert!'. 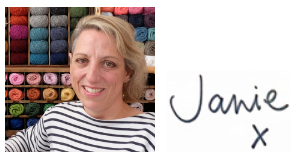 Two weeks have passed since our original Janie Crow web site crashed beyond repair which meant that the new 'Just Knots' site went live a little sooner than we had intended. There is still some work to be done on the site and some glitches are still appearing so I hope you will all be patient with us while we get everything up to speed. You can find the new Just Knots web site, which has all the stock items from the original site, by following this link. All the original Janie Crow links will be directed to the new site automatically. ​Because we have been away we have not had a chance to work on the new Janie Crow brand site, which will be the new home of my blog, technique downloads and design information, but we are hoping to get this sorted very soon. I am building the site myself, with help from Andy, so I and am really keen to show it to you - all being well there should be something for you to see within the next two weeks so keep your eye out for more information. If you have been following the Dolce and Gabanna related discussions on my social media feed then you may have noticed some comments in regards to copyright statements on knitting and crochet patterns. Copyright statements exist to protect the original designer of a pattern and are applicable whether or not a pattern is free. When the D&G copycat story was first shared a few weeks ago there were lots of people saying they were surprised that patterns hold a copyright statement and so I thought I should mention a few things in regards to this in this week's email. 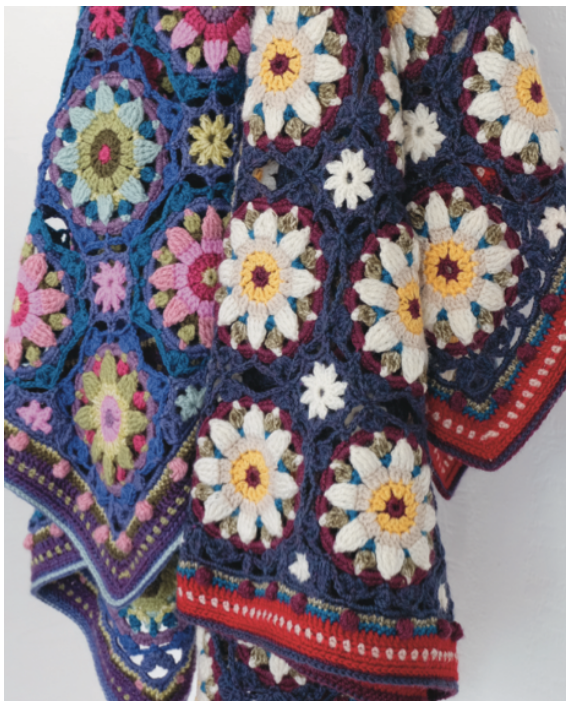 A crochet pattern is like a recipe in that it can only be attributed to a designer in it's original form. If a certain number of changes are made then a pattern could be said to have been changed enough to no longer be within the ownership of the original designer. This is a bit like adding a few of your own special ingredients to a Jamie Oliver recipe or adding an extra egg to Mary Berry's Victoria Sponge recipe (I do this and it makes the sponge lighter), however, none of these changes to the ingredients alter the fact that the source of the recipe comes from the original celebrity chef and that it should therefore be accredited to them and the same applies to a knit or crochet pattern. 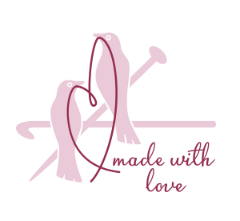 One of the areas that I think may have also caused confusion is in relation to making and profitting from a knit or crochet design published (either free or otherwise) by an independent designer. 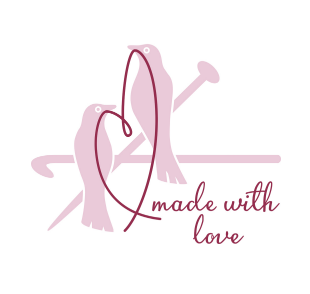 I have had a surge of people contact me in regards to this so I thought I should try to explain how the copyright statement on my patterns affects those of you who make items to sell. 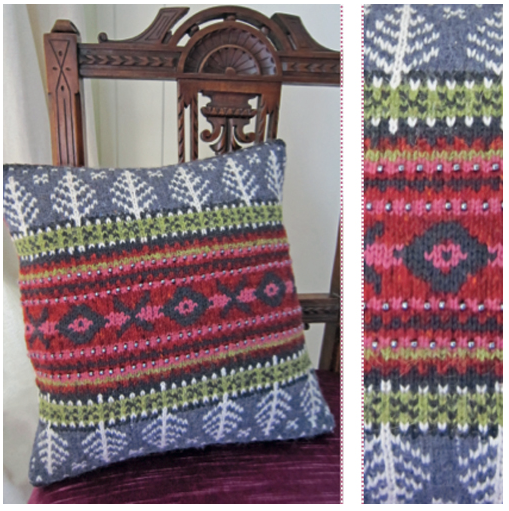 In short - if you want to sell an item made from one of my patterns, be it a blanket, a hat or a bag, then you should credit me as the designer. In theory you should ask for permission first, before you list an item for sale and you can do this by emailing me - in most cases I will say yes to a request, so it is not the end of the world if you have not asked in advance. I hope this makes things clearer. If in doubt please email me or hit reply to this email. 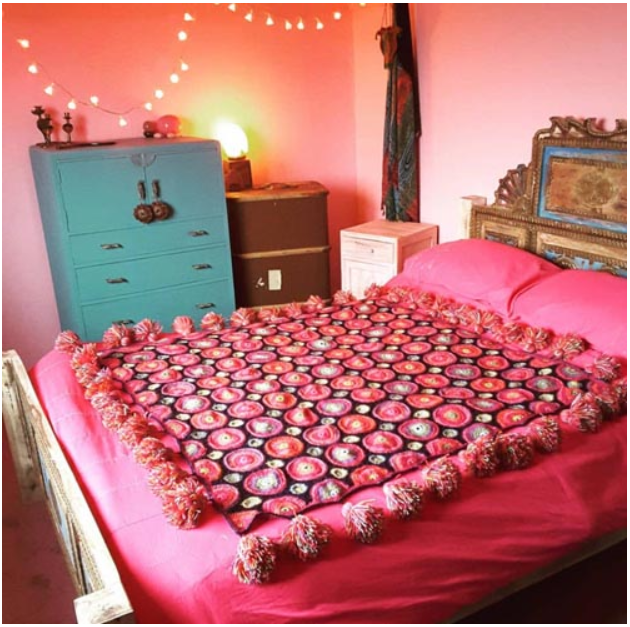 To tie in with the words above I want to share this image of my Magic Circles Blanket made by Amikitoramikat - a seller who has listed my designs on her Etsy account. I adore the styling on this image and am in love with the bright pink walls and turquoise wardrobe in Kathryn's picture. 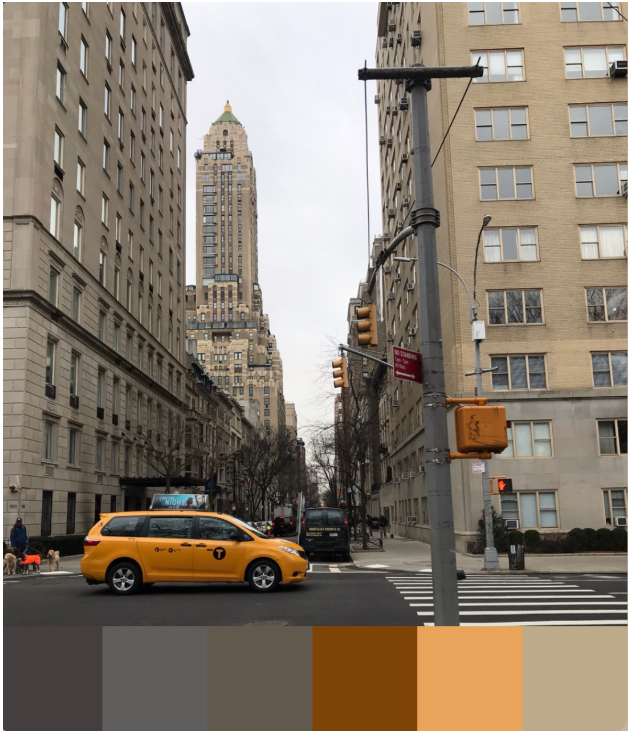 ​The image I chose to take my palette from this week is one I took in New York. It sounds a bit silly, but even after 8 days there I still had to pinch myself that I was seeing big yellow school buses and taxis and wandering down streets from the movies! I took this image on the east side of Central Park after Andy and I took a rather chilly walk through it. I stood and waited at the lights for a cab to go through so that I could catch the yellow! When I look at the image now I wish I had pulled out the bright orange of the dog coat that is in the bottom left of the image and maybe the burgundy shade on the sign post at the centre as these may have added quite a different feeling to the palette. Don't forget that the colouring competition I launched here last week is open until 15th February 2019. You can enter as many times as you like, so why not unleash your creativity and enjoy some mindful colouring in? 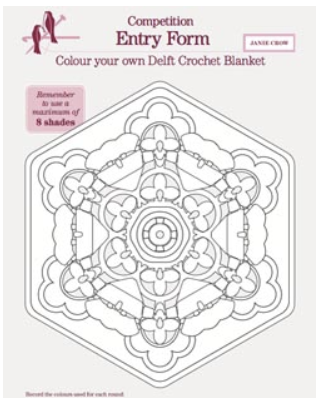 ​Simply colour in the motif chart to create your own version of my Delft blanket design, then pop it in the post to us along with your written entry form to be in with a chance of winning a great prize. You can find the downloadable information pack and competition guidelines here and the competition entry form here. 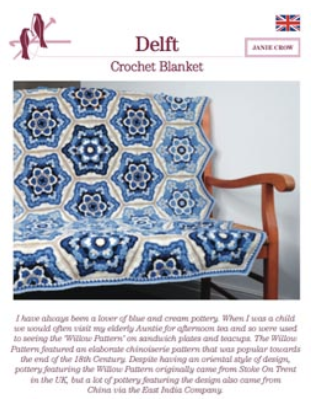 ​The competition is being launched in support of the release of a newly worked version of my Delft blanket pattern, which uses Stylecraft Life DK. 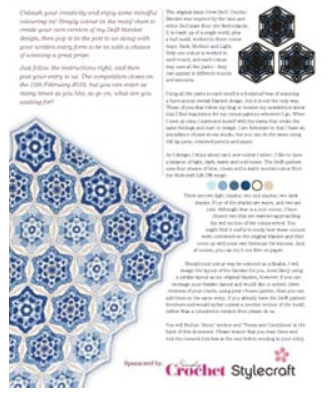 The patterns for the blue and cream colour way, which was inspired by my love of Delftware and The Willow Pattern china, are available now via Stylecraft stockists. 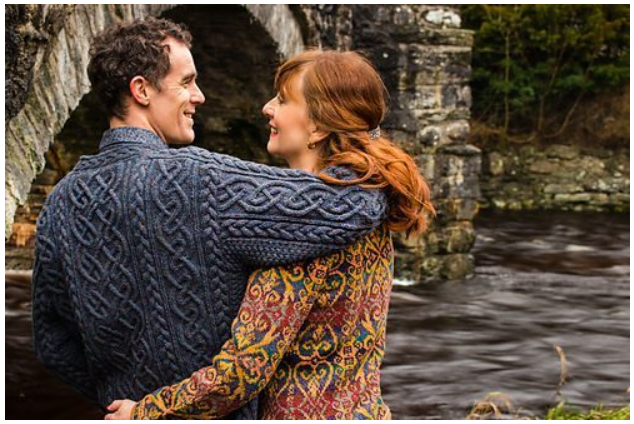 You can follow this link to find out more about the design and purchase the 12 page brochure pattern (£4.95) or the Stylecraft Life DK kit, which contains 15 x 100g balls of yarn, the pattern and a sew in label for £44.95. 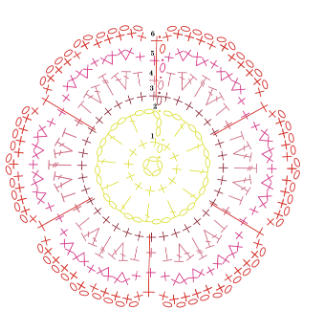 The pattern is available in UK & US terminology and Dutch language. ​I really hope that you like the thought of entering the competition. Don't forget that it closes on the 15th of February. You can find more information in this month's copy of Simply Crochet Magazine and via Stylecraft's social media platforms. 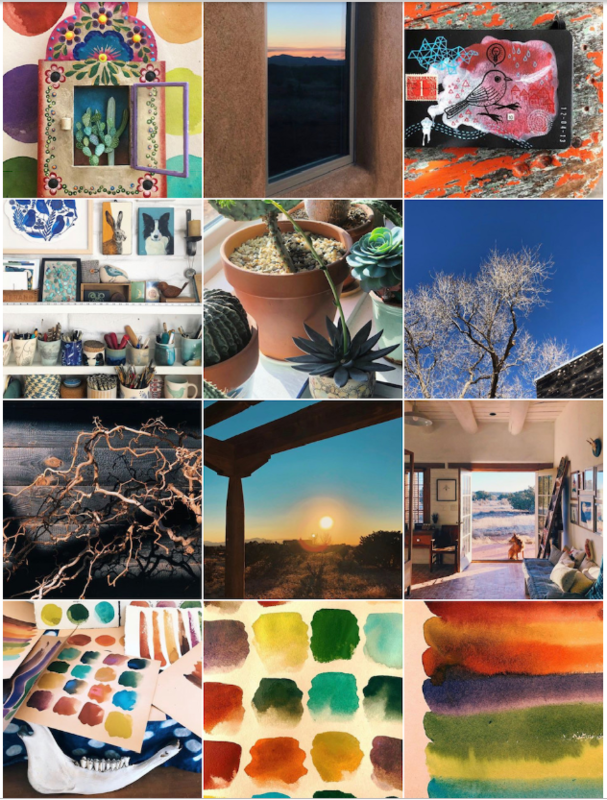 My Instagram account recommendation this week is that of Geninne D Zlatkis, who describes herself as a 'passionately curious artist living with Manolo, our two sons and an adorable red healer named Zorro'. I love it when Geninne's images pop up on my feed, especially when they include pics of her dazzling dog and beautiful art work. You can find her account by following this link. Her work is also available to buy on Etsy. Sign up or miss out! As I have already said, today's newsletter will be the final one to be sent from this mailing list. This list belongs to our original web site, which has now been renamed as Just Knots. Because of new laws introduced last year we have to make a clear definition between the mailing lists for our 2 new web sites and so, in order to continue to receive this email on a Friday afternoon, you must sign up to a new mailing list. Follow this link to sign up. I hope that wherever you are and whatever you are doing you stay happy, well and warm. If you are in the US then I hope you are not too badly affected by your record breaking cold weather.